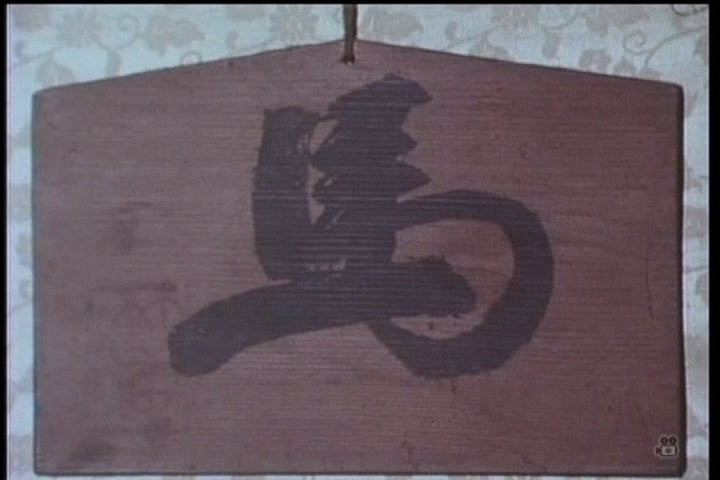 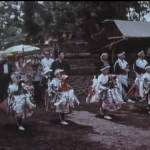 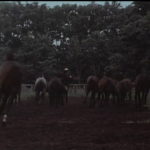 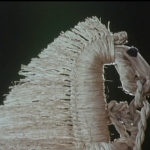 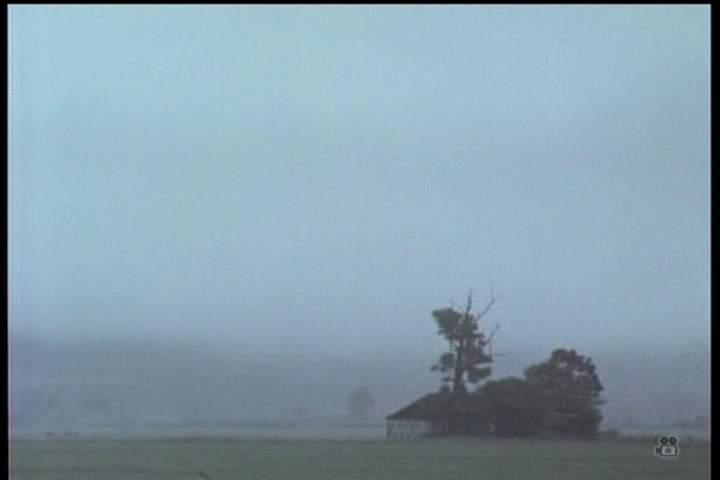 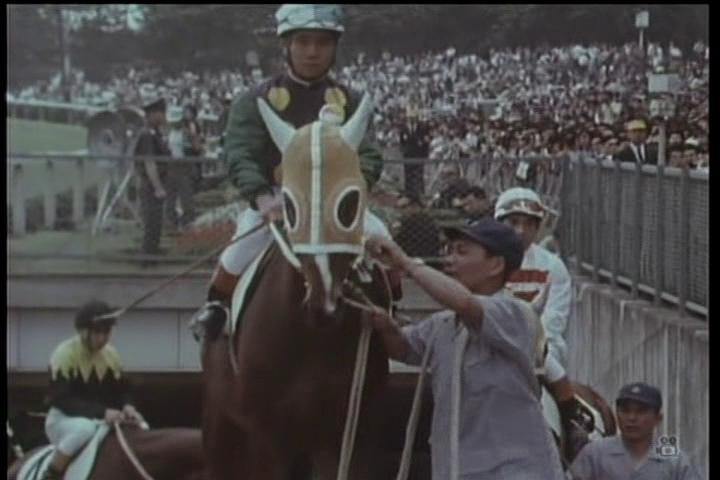 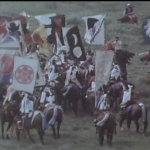 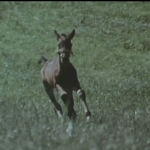 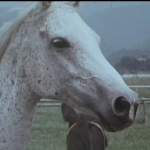 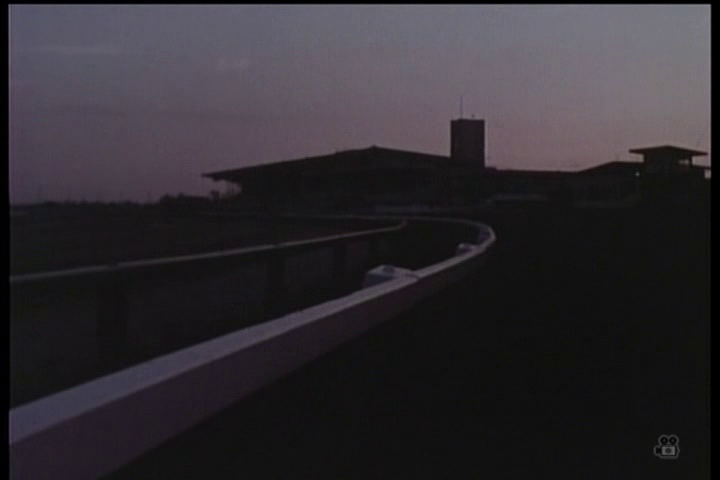 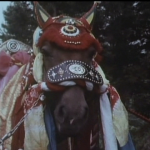 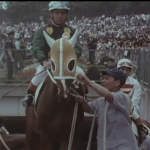 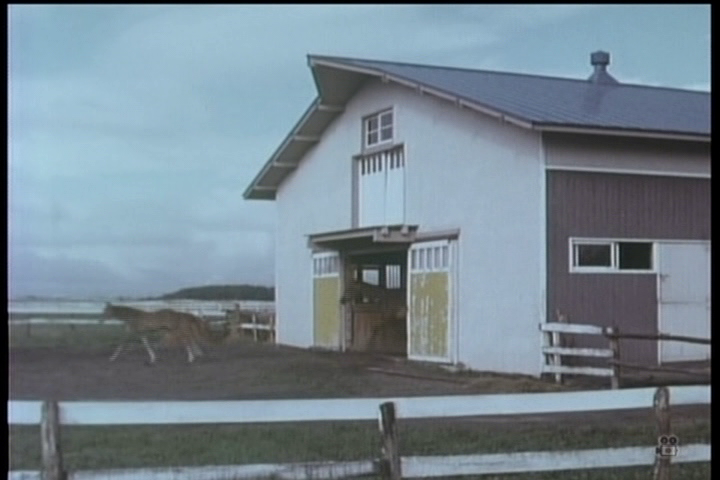 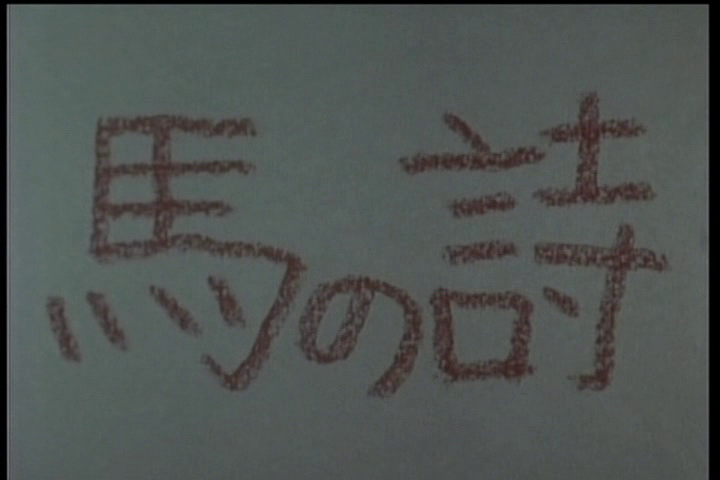 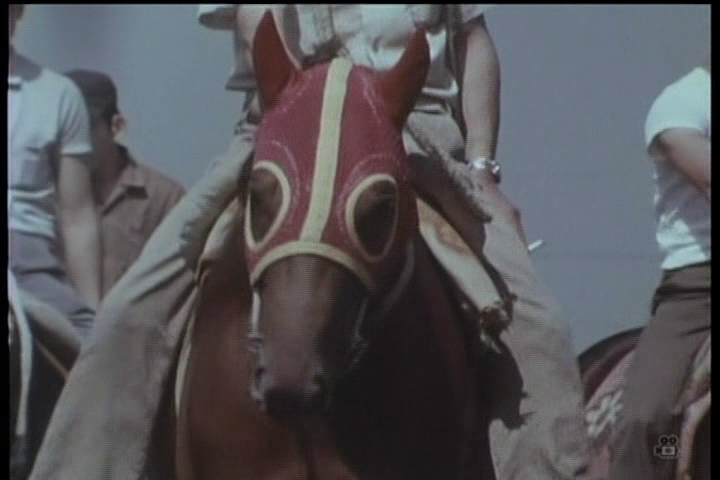 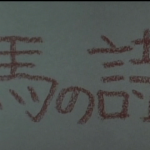 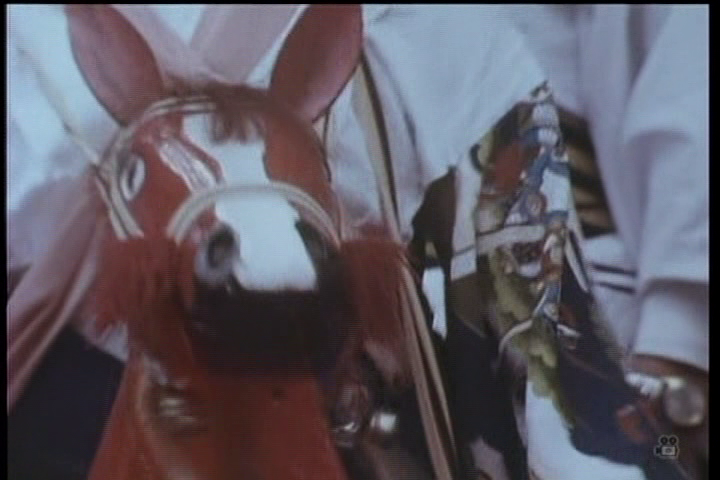 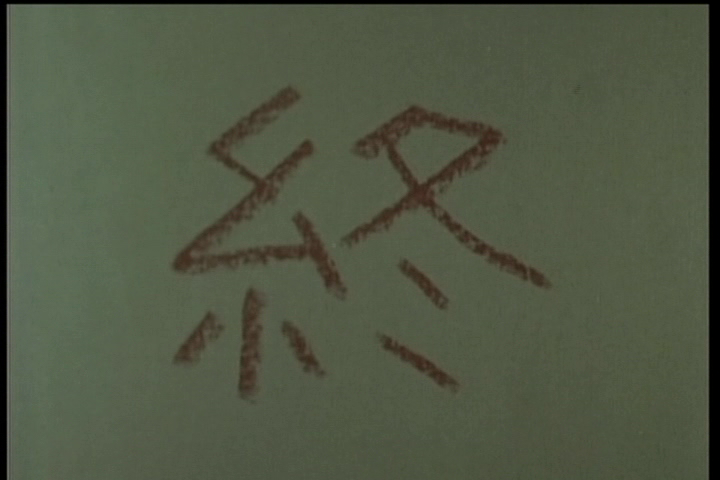 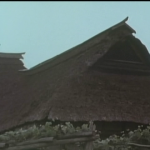 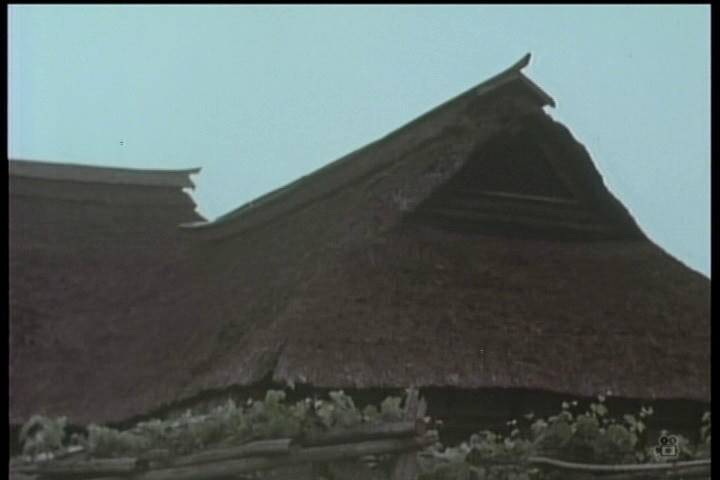 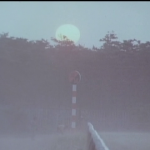 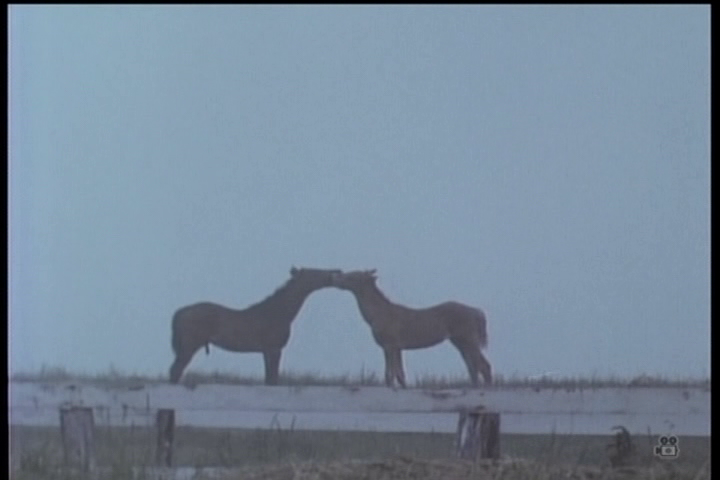 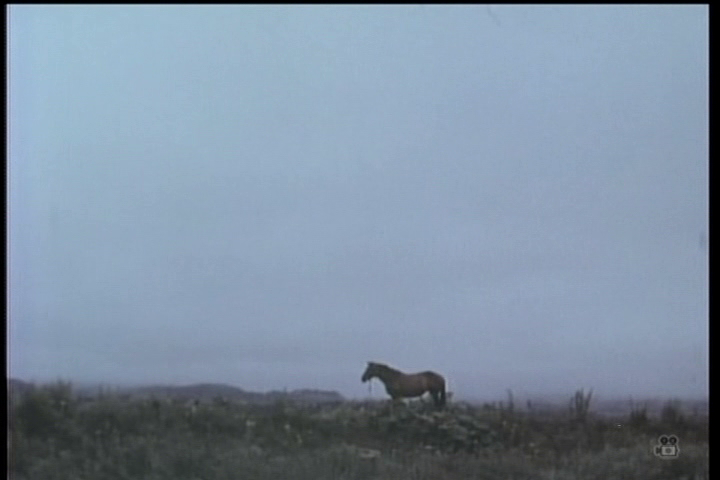 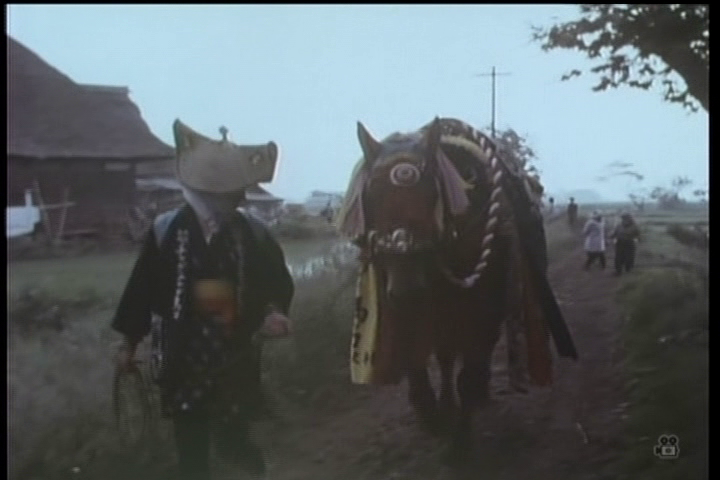 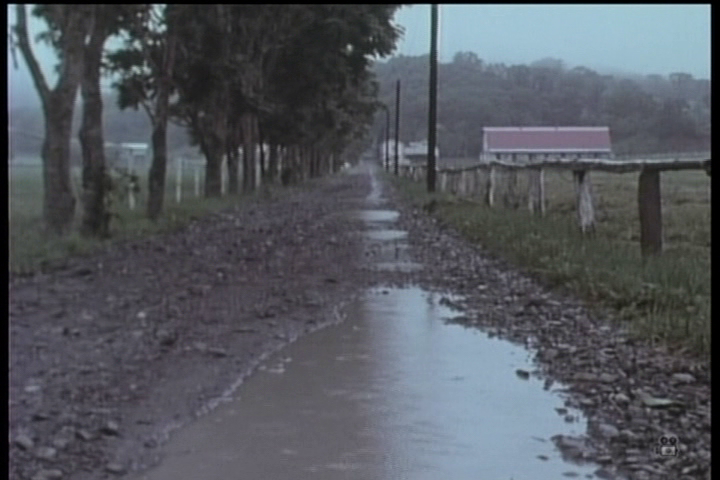 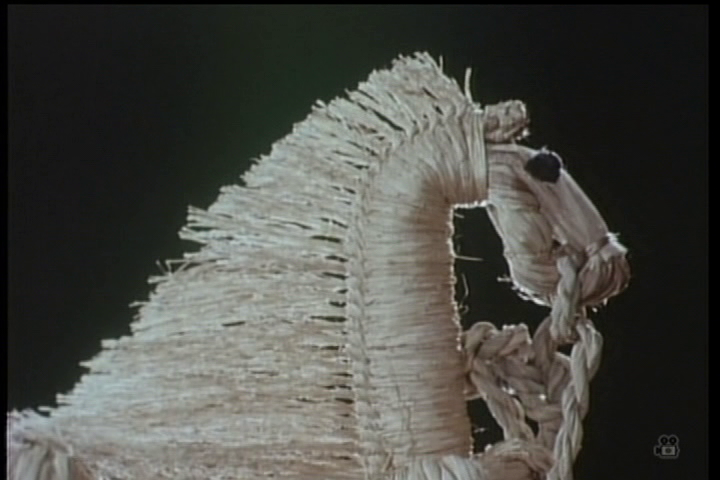 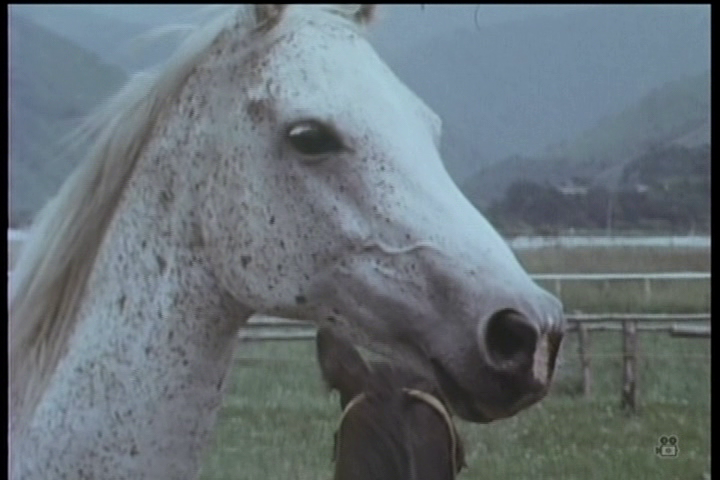 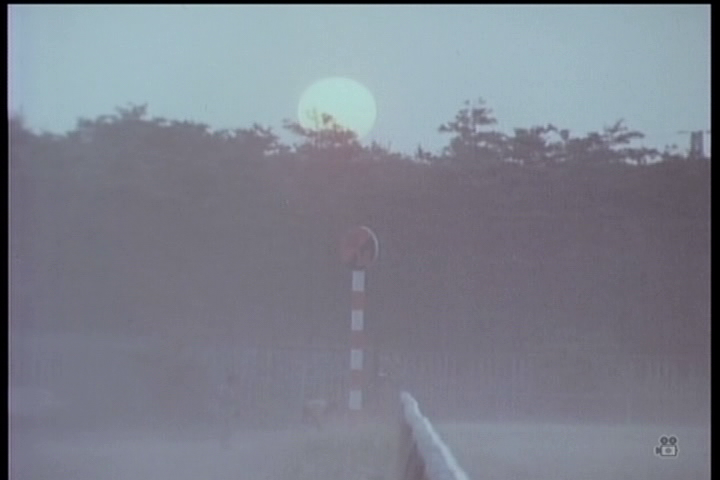 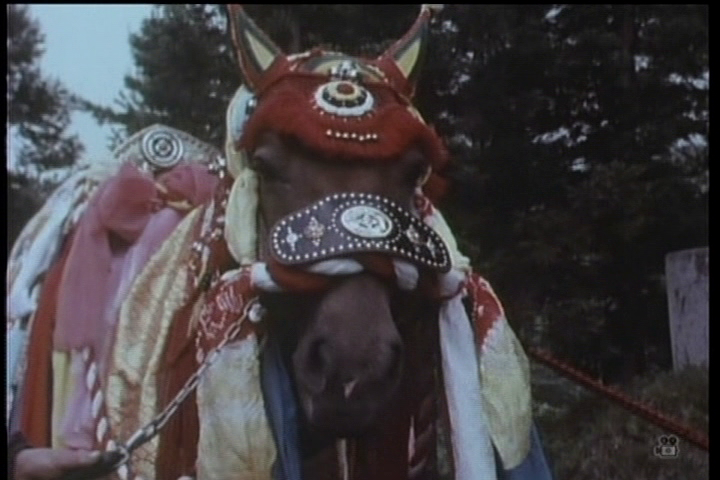 Song of the Horse is a 1971 documentary film that Akira Kurosawa directed for Nippon Television. 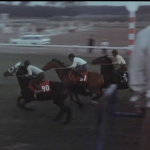 Its subject is thoroughbred race horses. 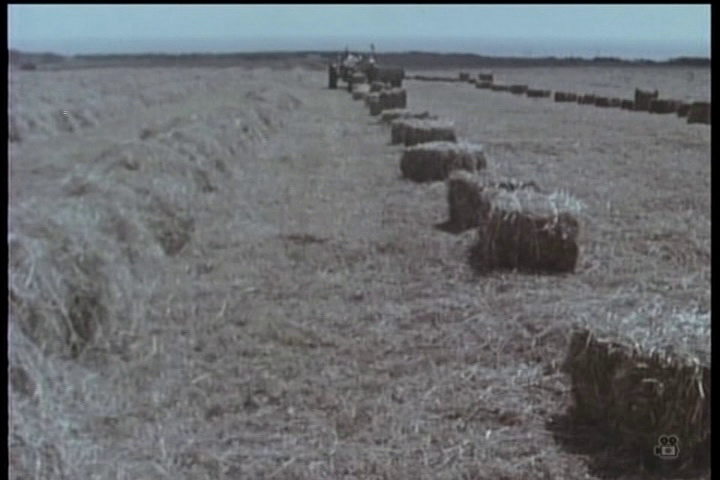 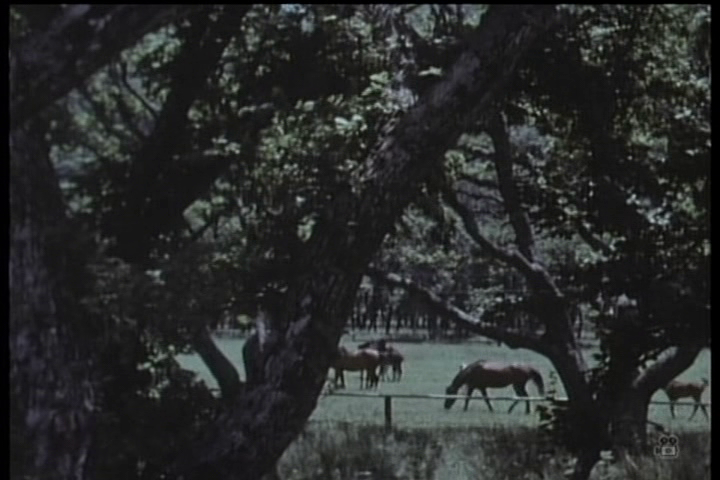 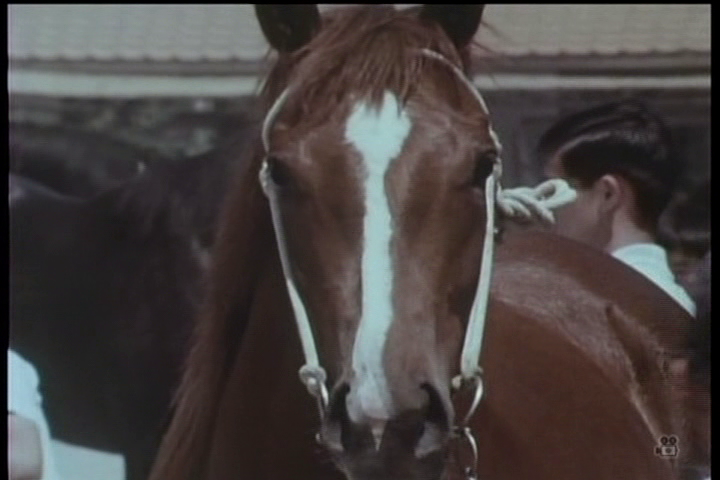 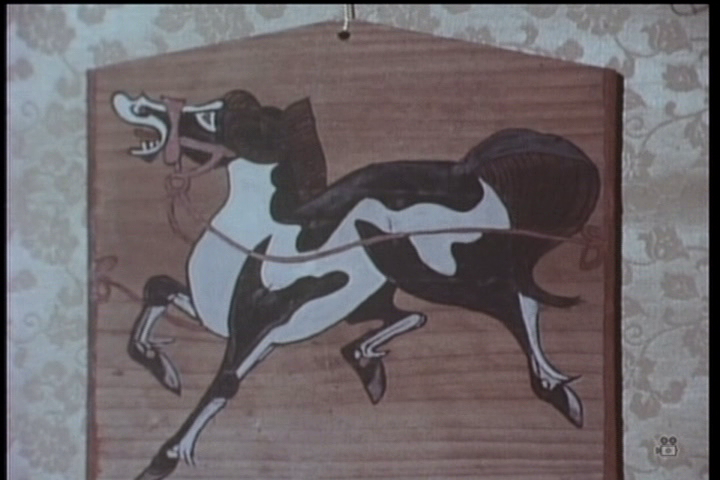 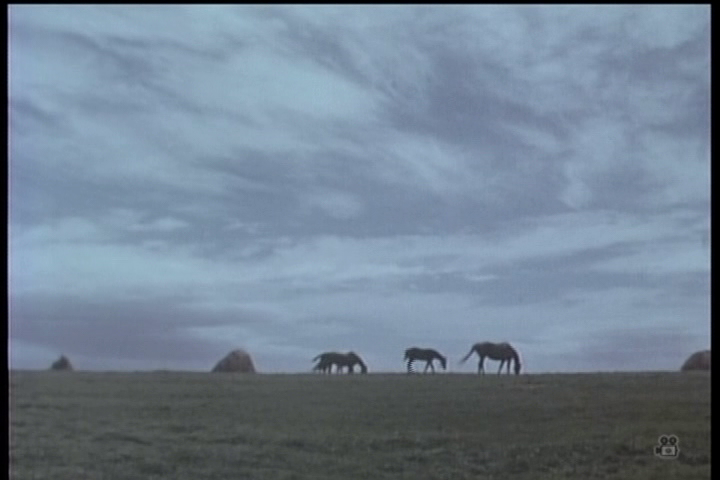 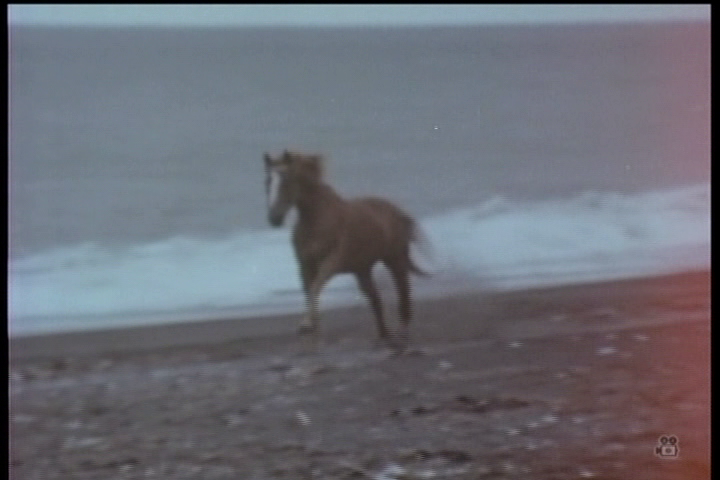 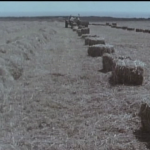 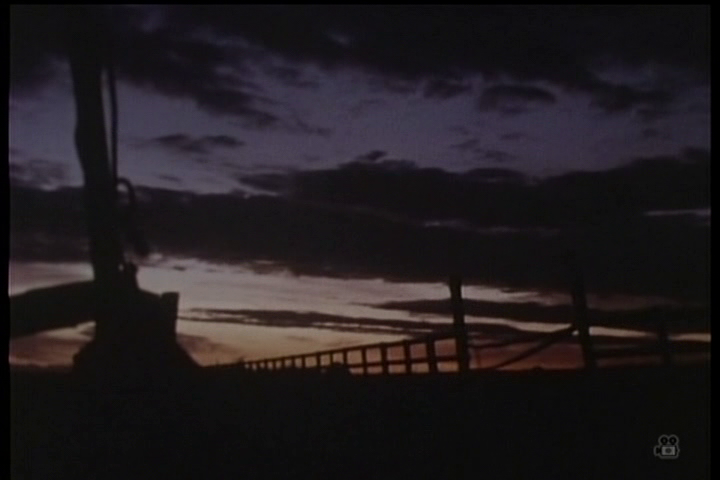 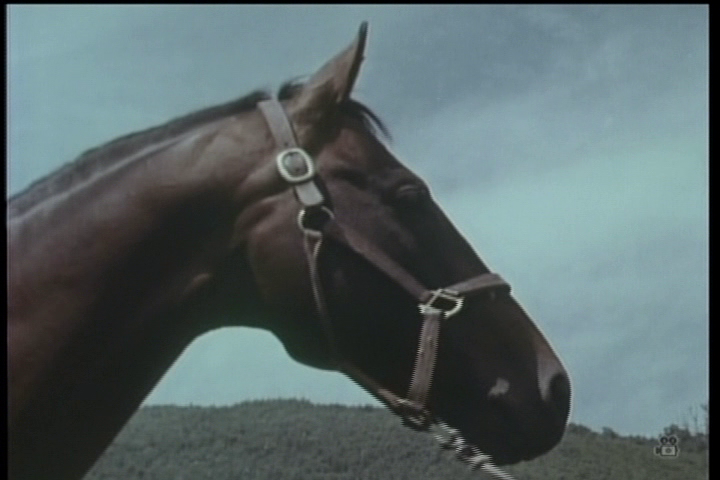 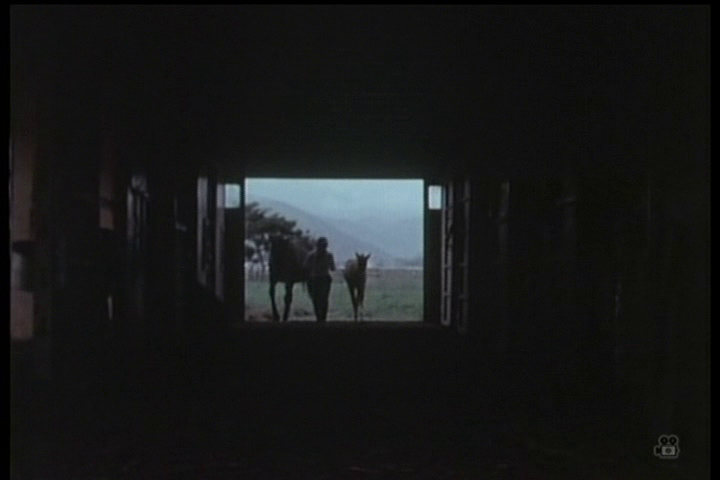 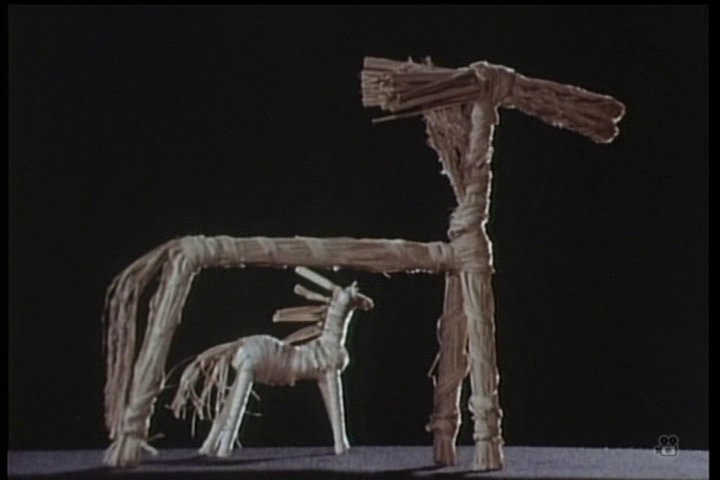 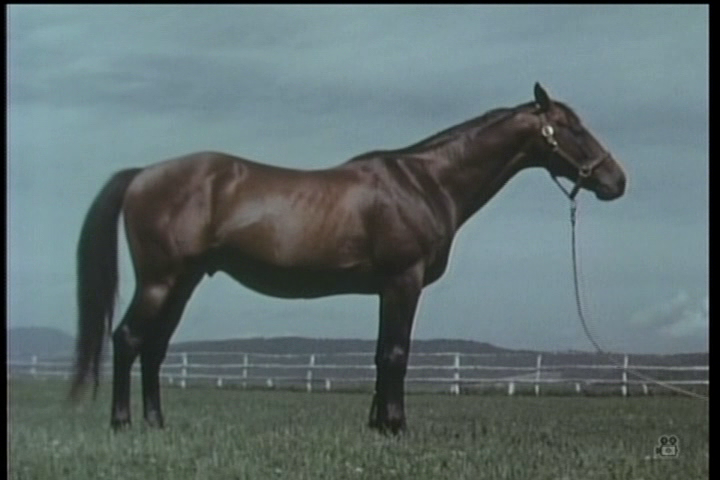 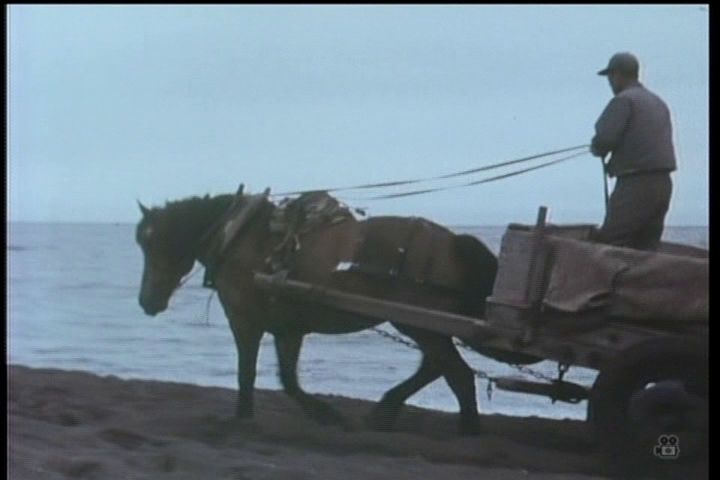 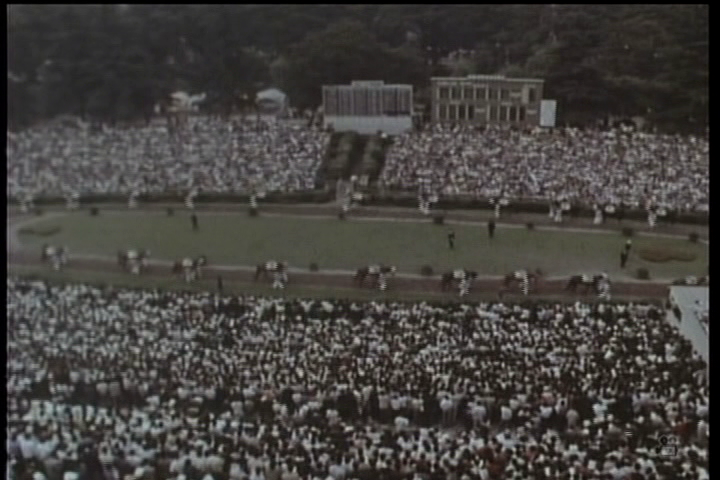 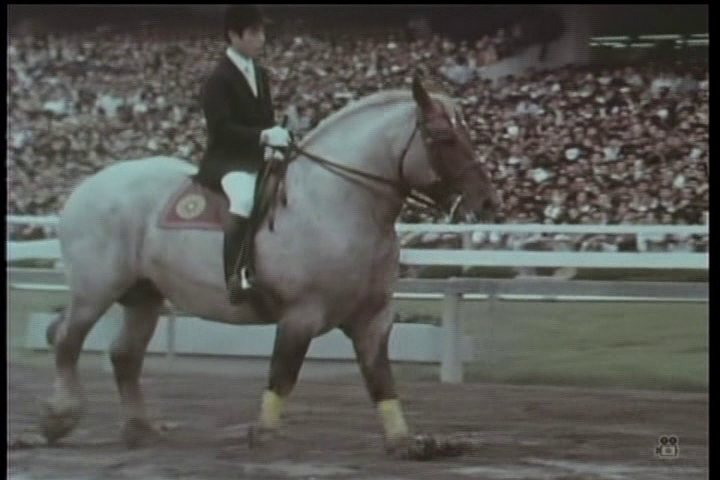 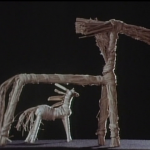 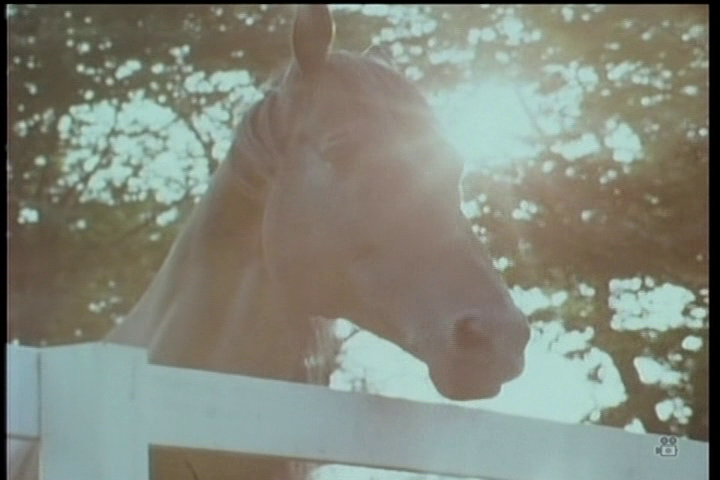 Song of the Horse was Kurosawa’s only documentary film, as well as his only work for television. 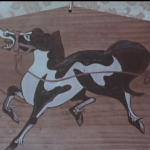 Song of the Horse is a documentary film with voice-over provided by an older man and a boy, possibly grandfather and grandson. 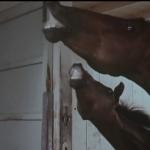 The older voice tells the younger about horses. 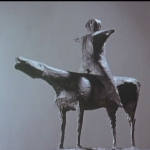 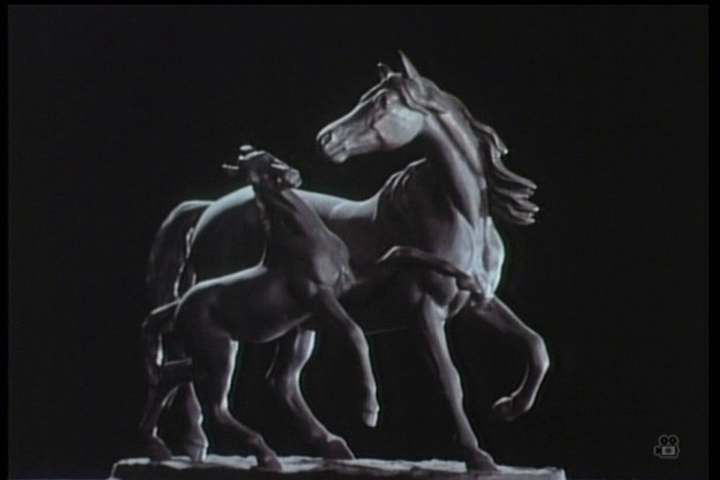 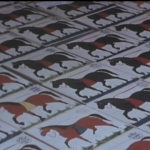 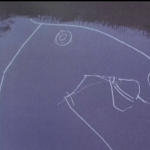 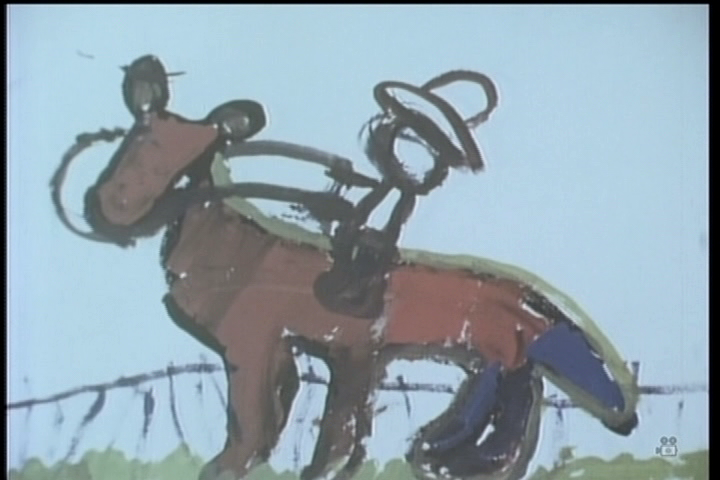 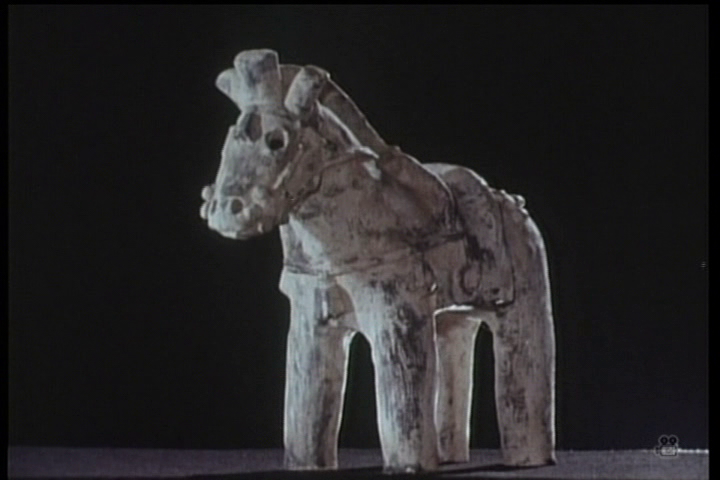 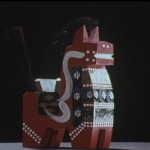 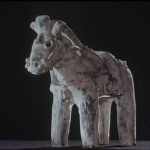 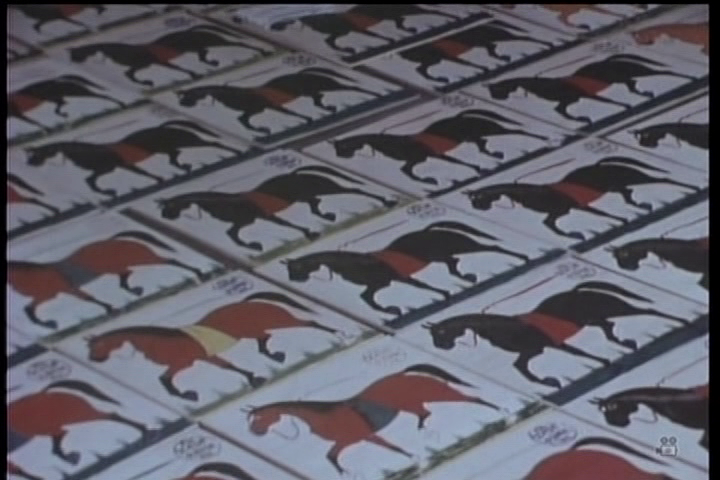 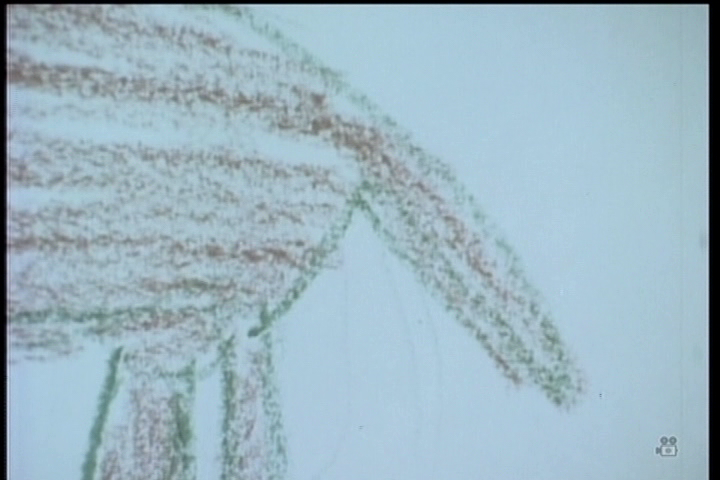 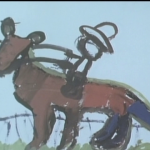 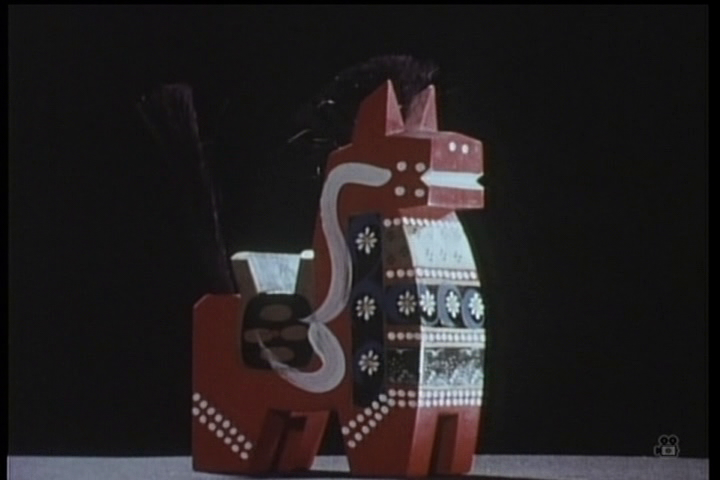 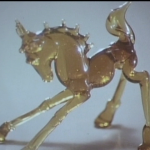 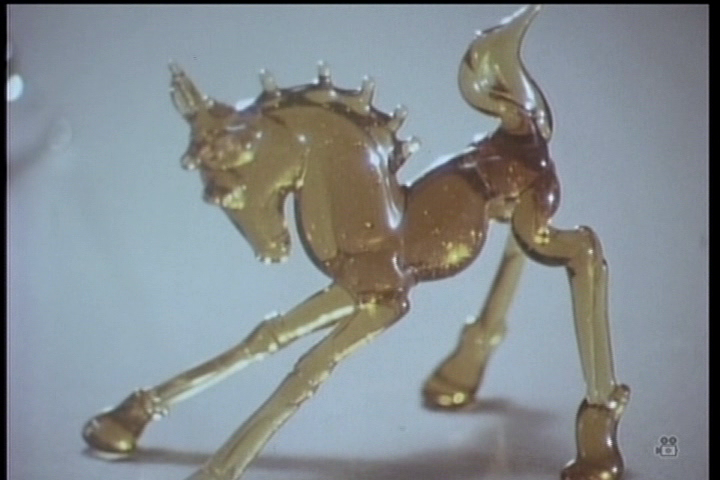 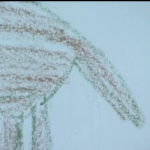 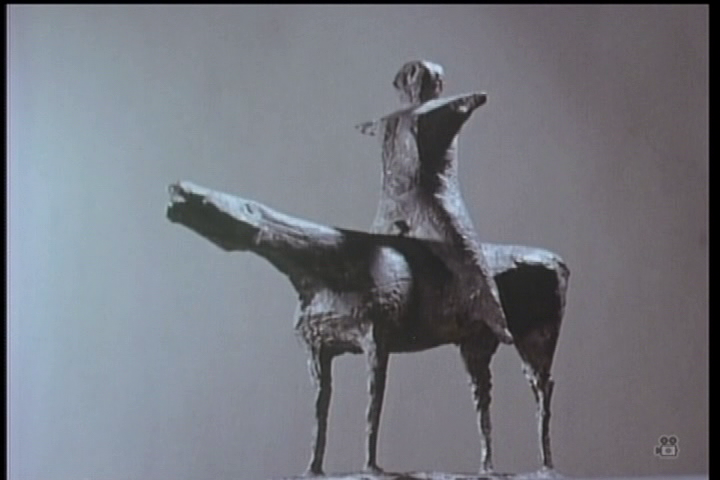 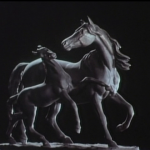 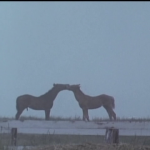 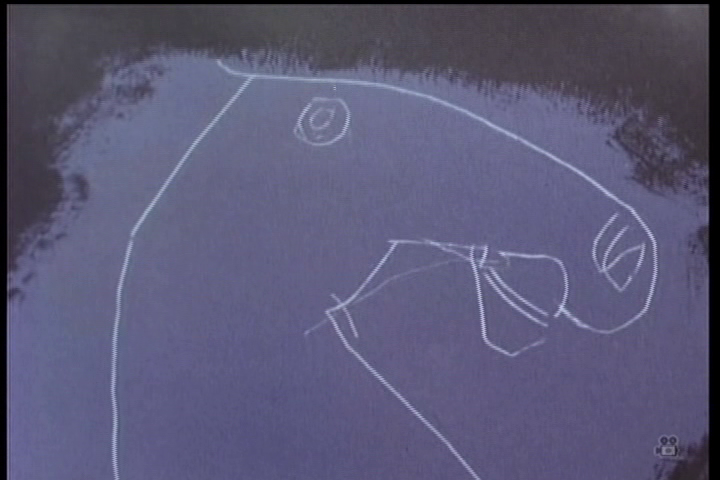 The film starts with a montage of figurines, sculptures, drawings and paintings of horses. 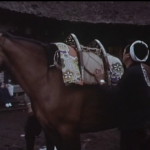 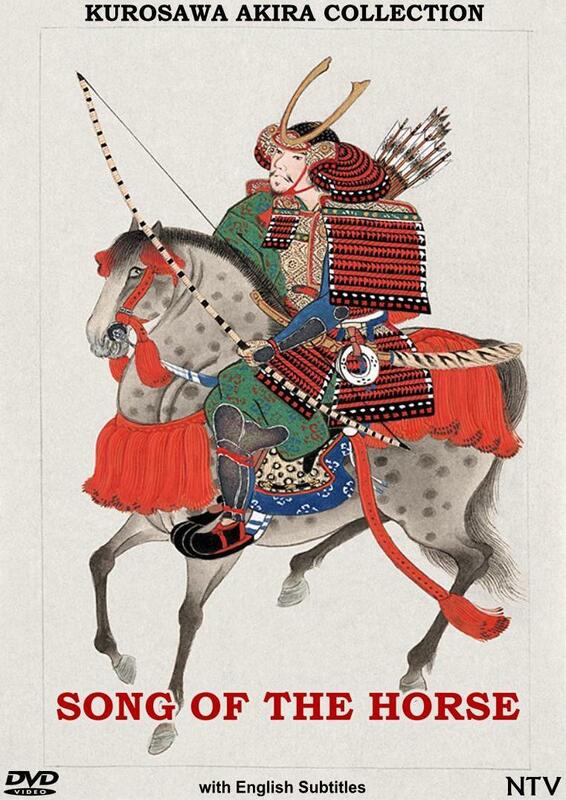 It then takes us to the Nanbu region of Japan, where the man explains people and horses used to have a very close relationship. 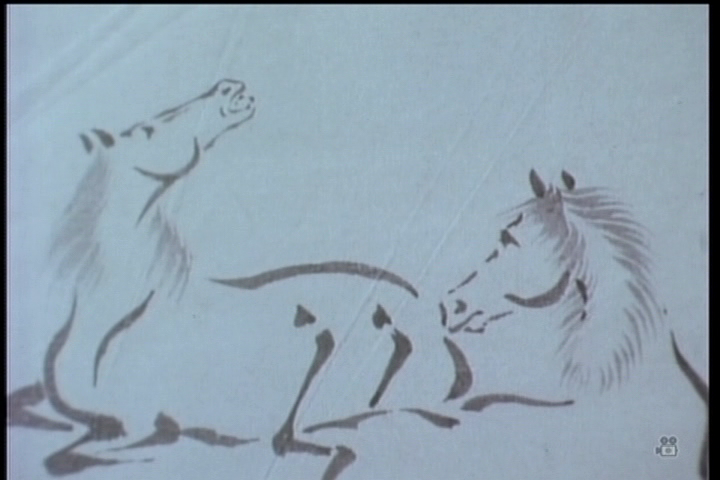 But today, most of what remains of that relationship is the annual horse festival. 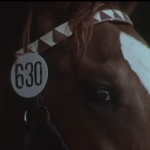 The number of horses is dwindling, as people no longer have as much use for them as before. 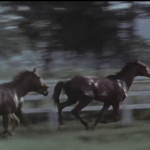 Horses have been replaced by machines. 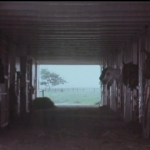 Yet, horses will not disappear entirely. 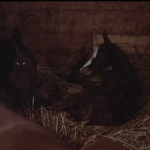 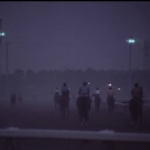 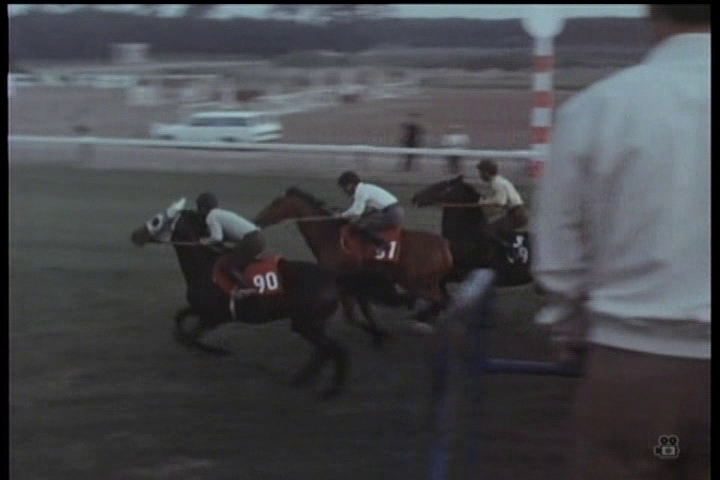 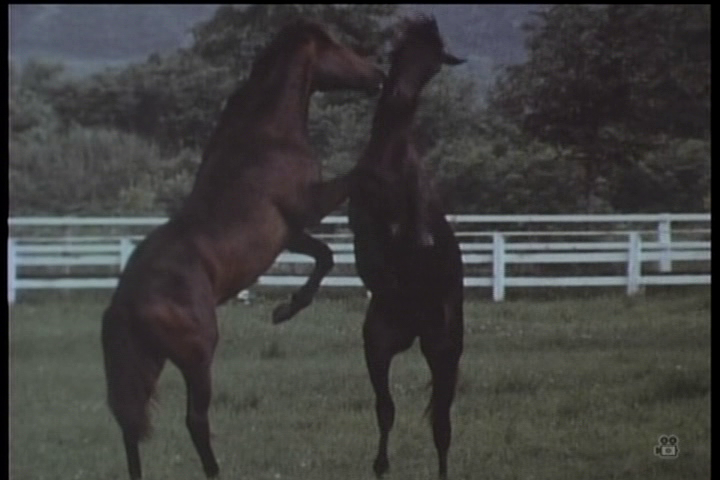 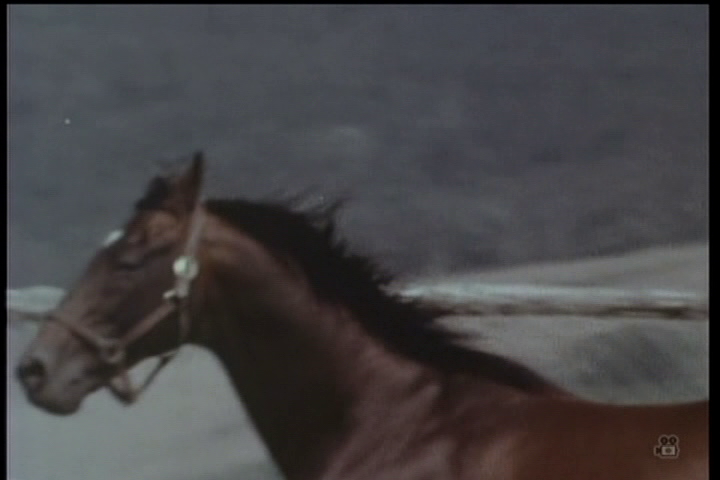 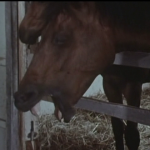 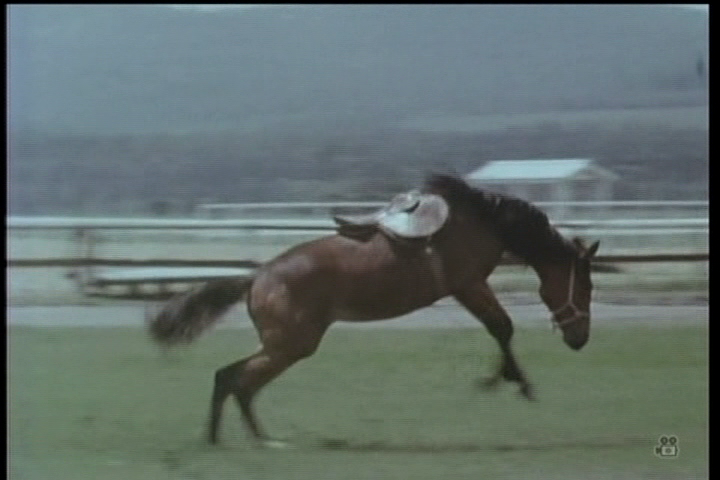 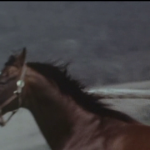 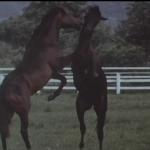 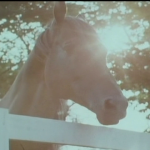 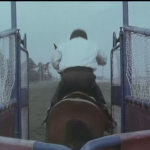 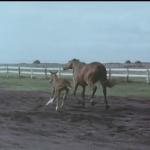 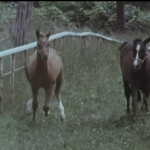 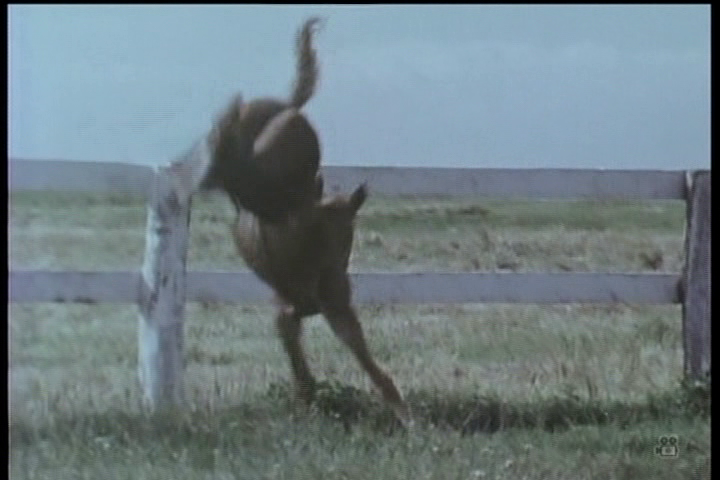 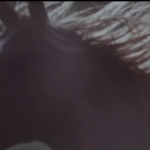 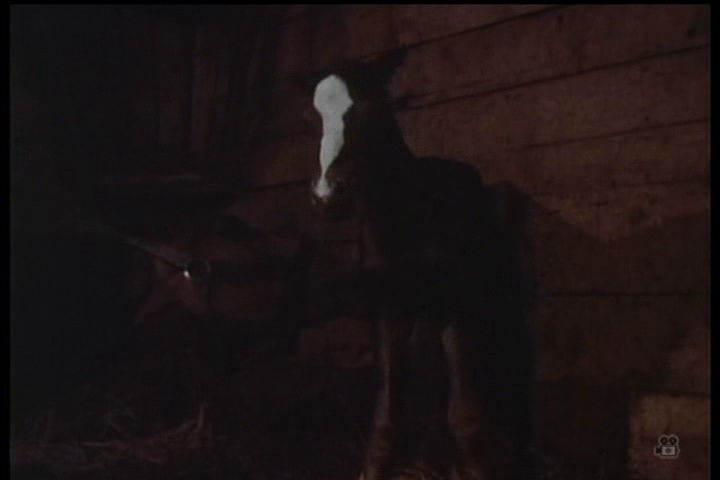 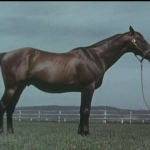 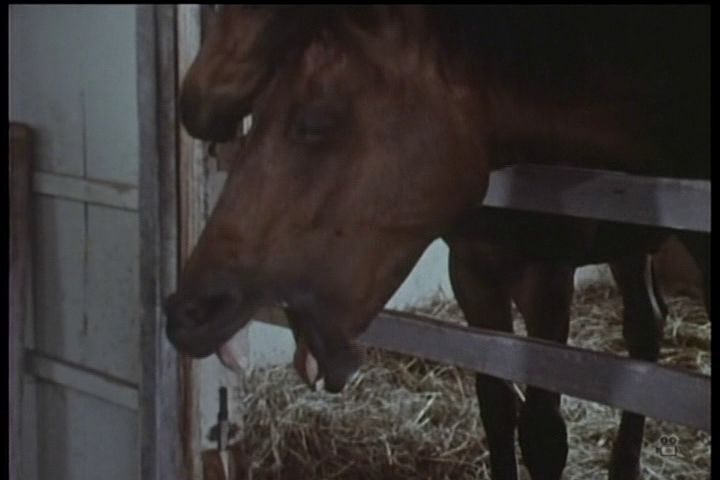 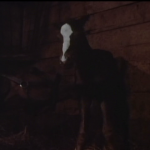 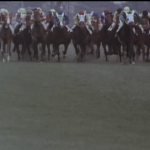 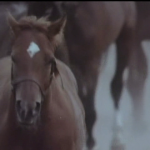 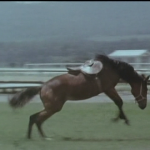 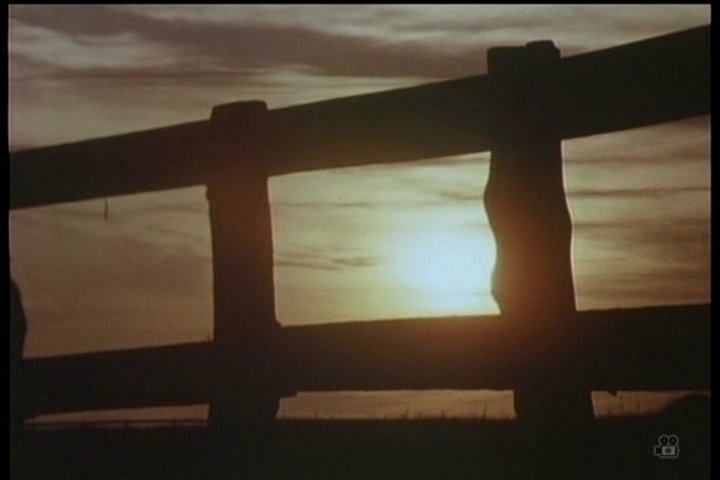 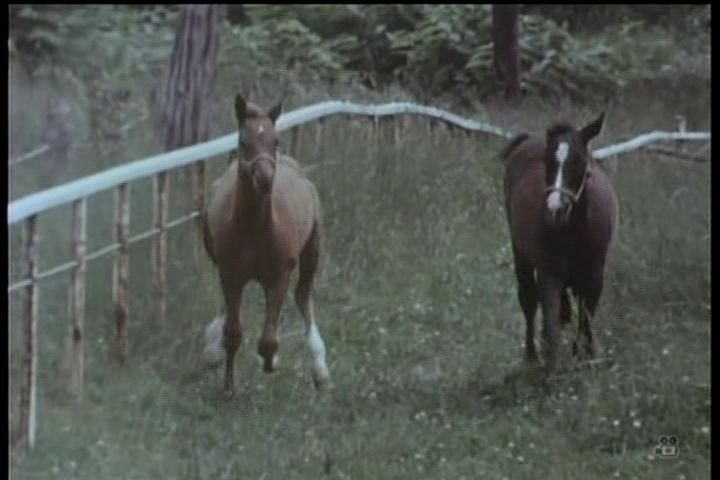 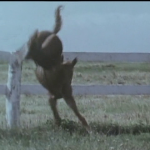 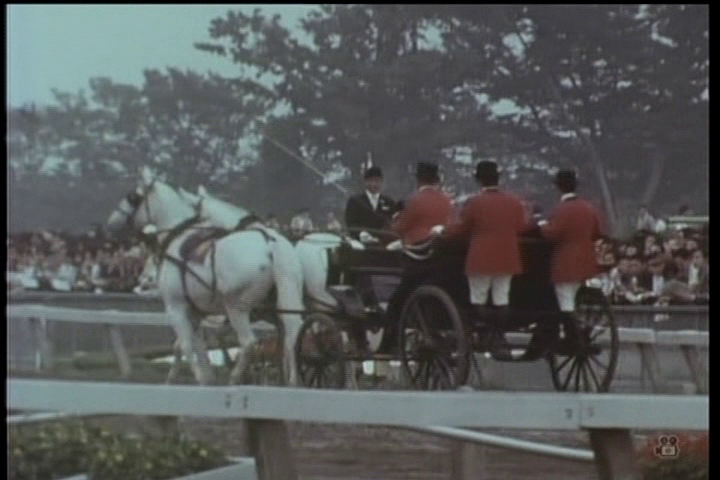 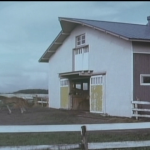 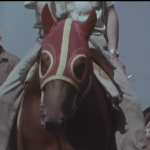 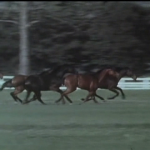 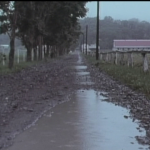 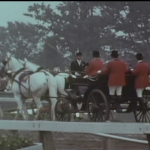 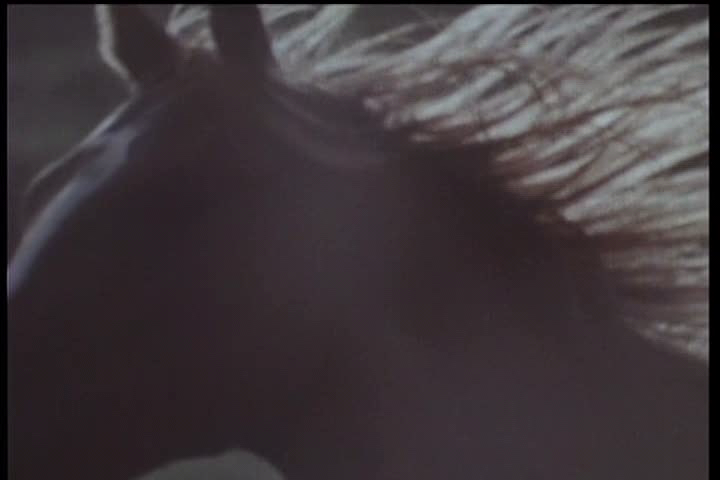 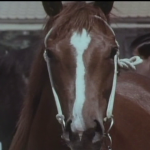 With a hint of excitement in his voice, the man mentions thoroughbreds, as a brief scene with race horses is shown. 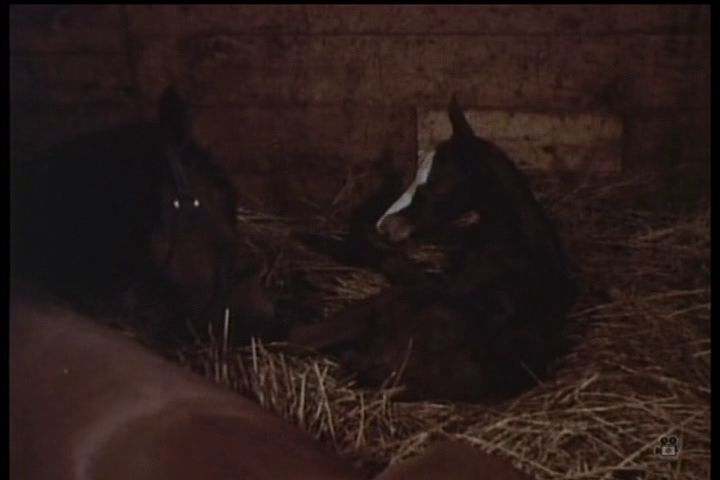 We are then taken to a stable where we witness the birth and first baby steps of a thoroughbred colt. 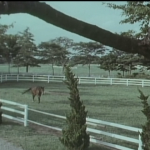 A montage of nature shots moves us forward to the colt’s first day outside of the stable. 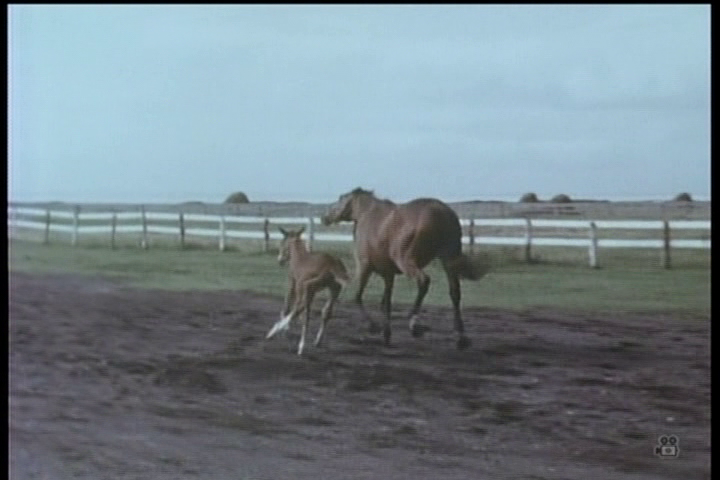 Full of energy, the young horse runs around in excitement under the watchful eyes of his mother. 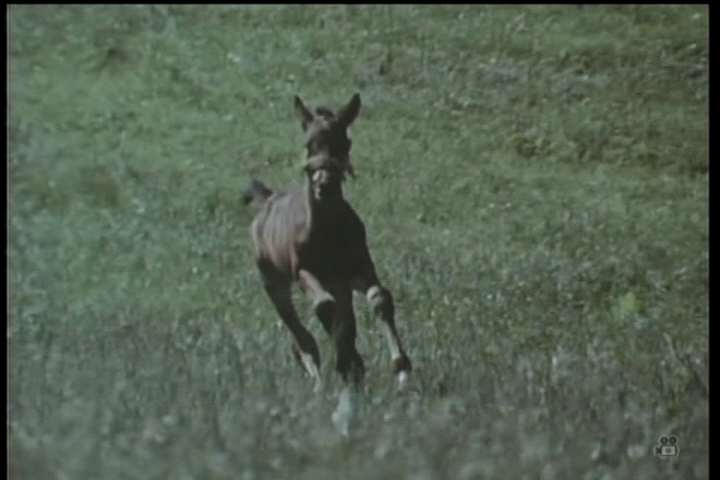 It is an easy looking life for a young colt: day after day, he is simply running, playing, eating and sleeping. 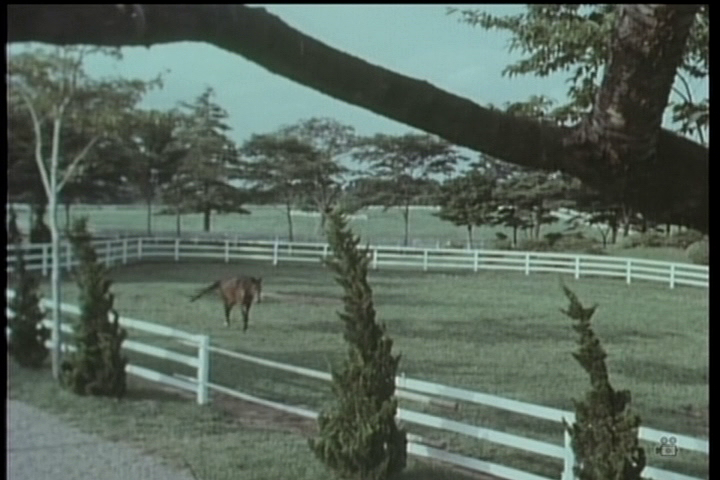 This, the man points out, is how any creature should live. 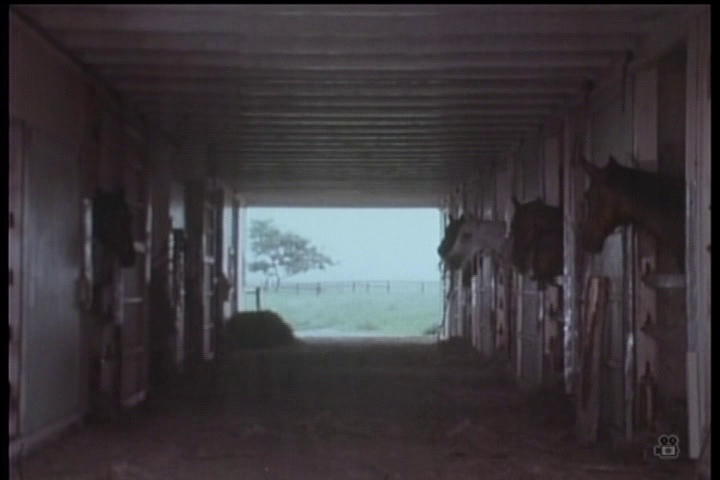 Only rainy days keep the horses inside in the stable. 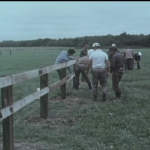 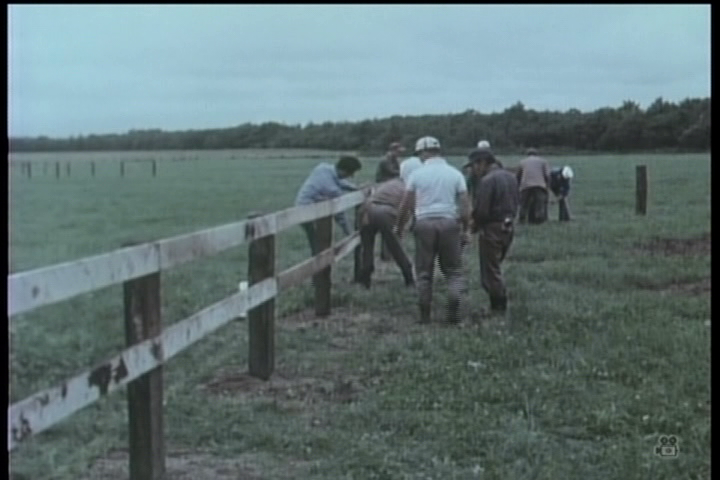 Once the rain subsides, the farmers are shown making some hey for the horses and mending the fences. 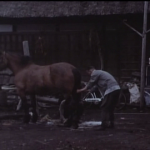 The horses’ hooves are trimmed. 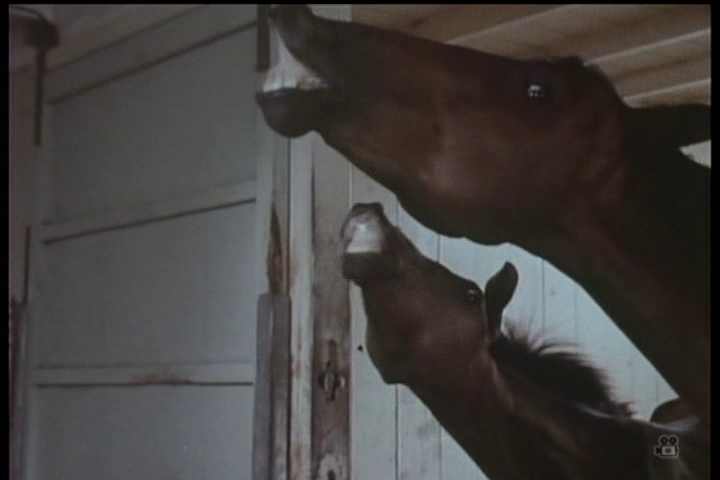 By the age of one, the young thoroughbreds have been separated from their mothers as their training begins. 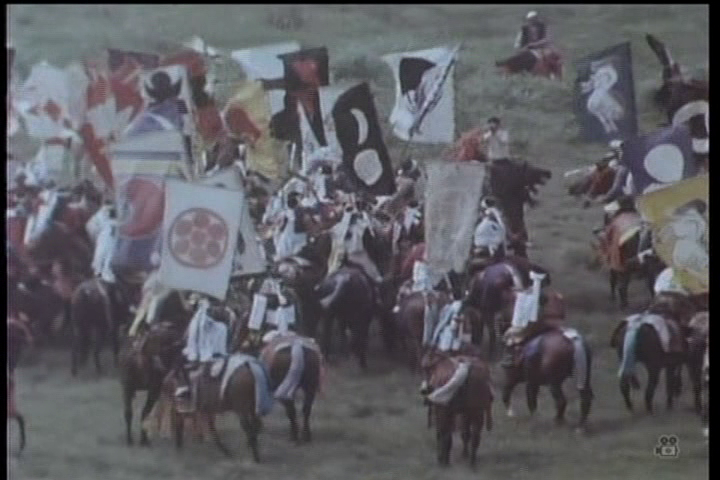 At this point, it is still more group play than anything else. 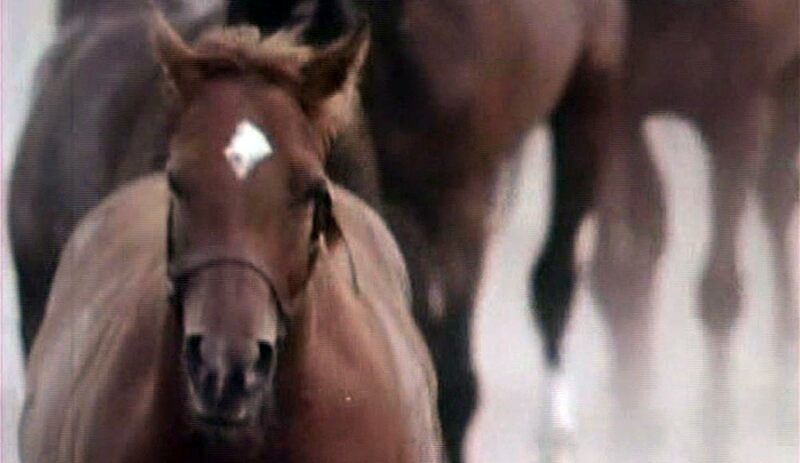 Once they reach the age of two, the prospective race horses will be sold. 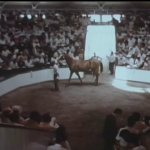 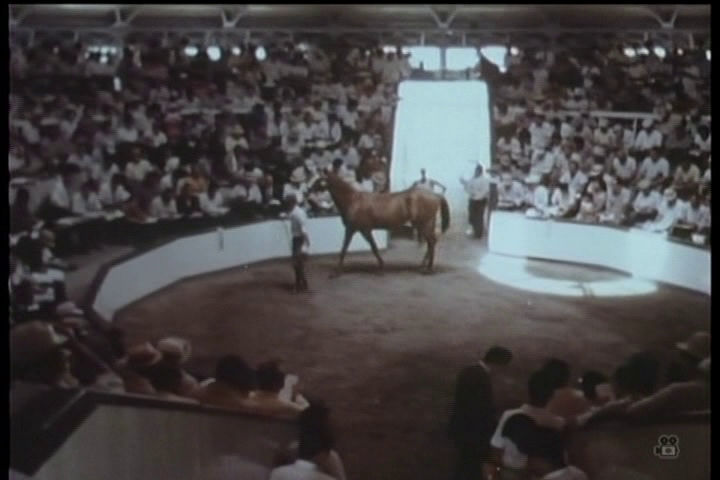 A horse market and auction is shown. 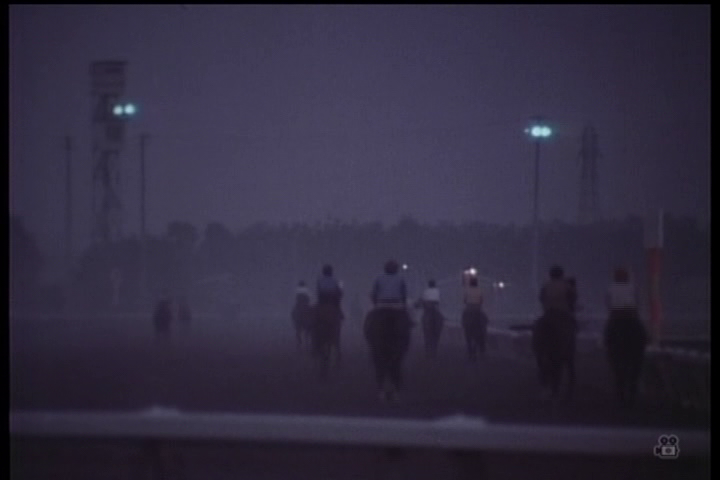 From here on, training intensifies as the young horses are getting stronger. 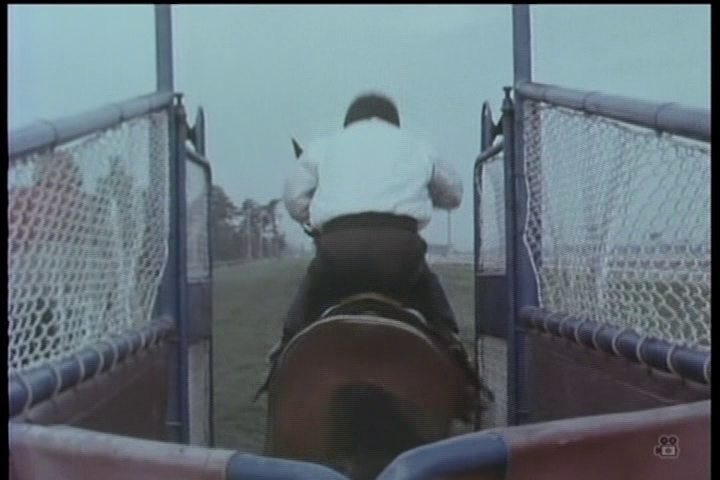 This includes both running as well as getting used to the saddle. 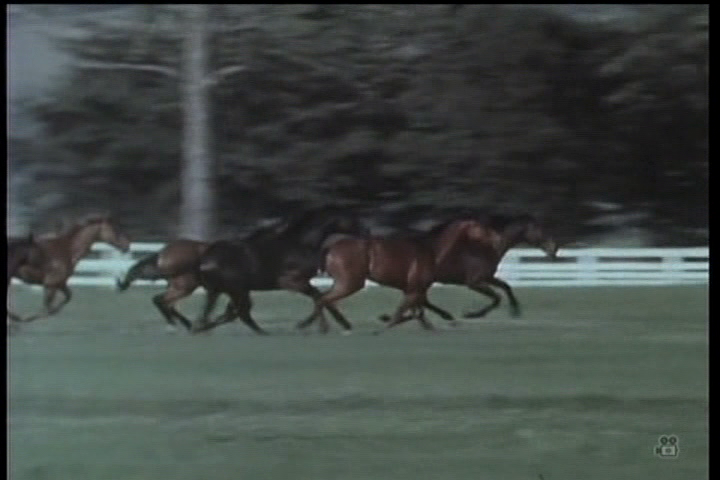 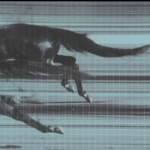 At the age of three, the horses have their first race. 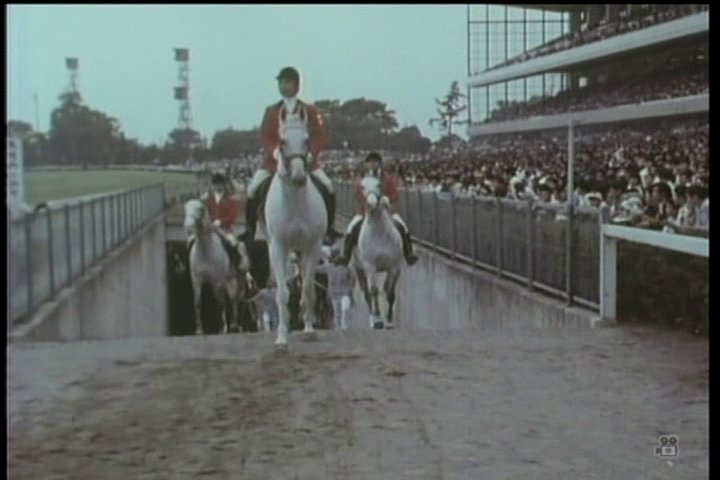 But before that, they need to pass their start exam: to learn how to get in and out of the gates. 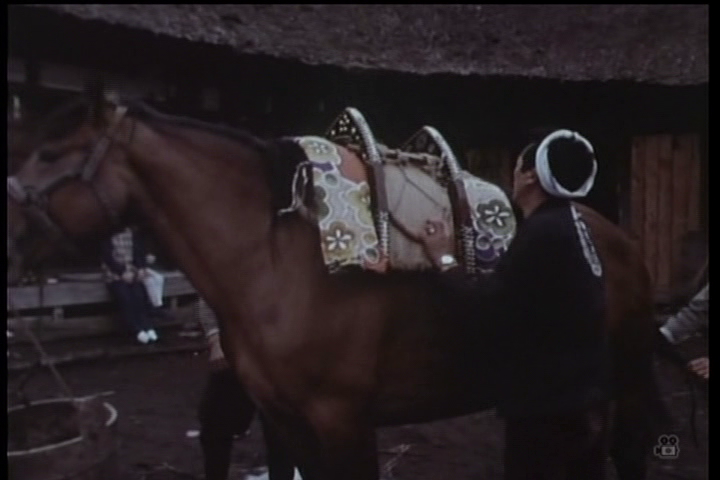 With some horses it is easier than with others. 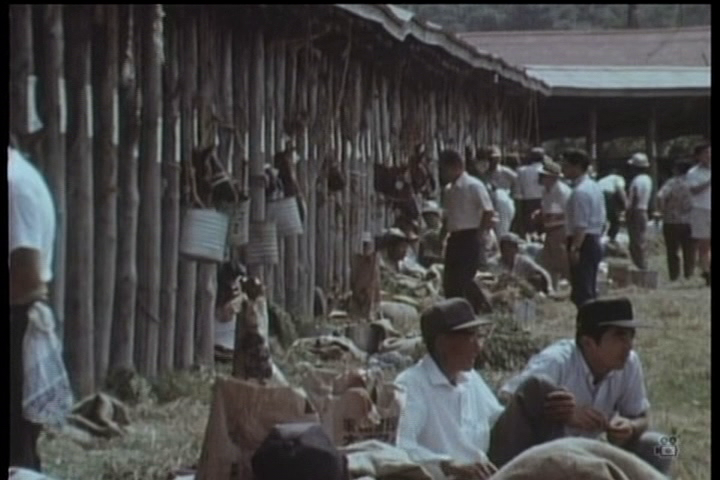 Then they are checked for health. 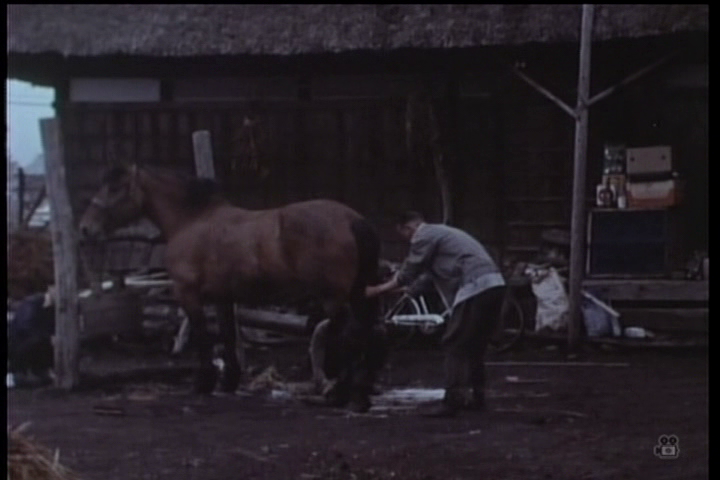 Horse shoes are fitted. 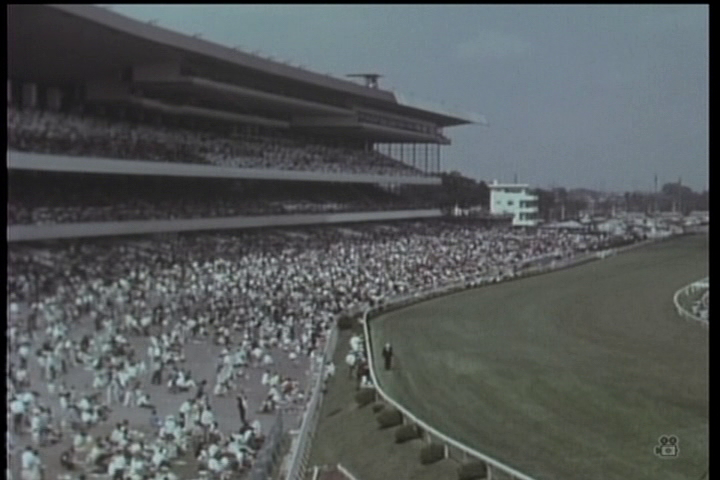 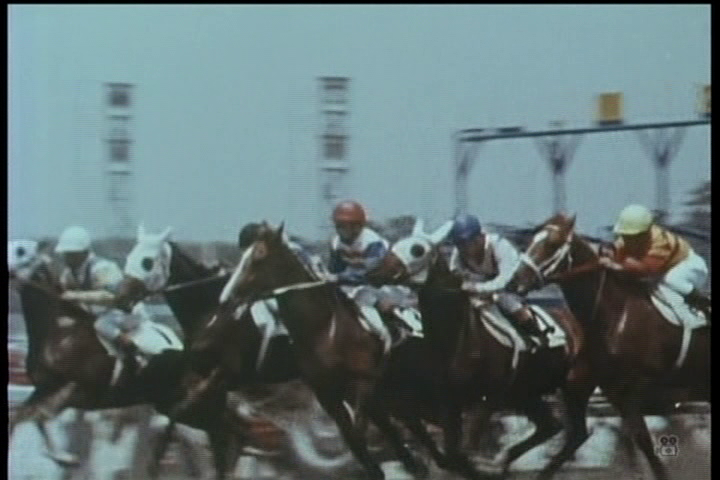 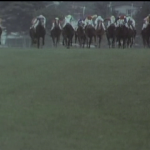 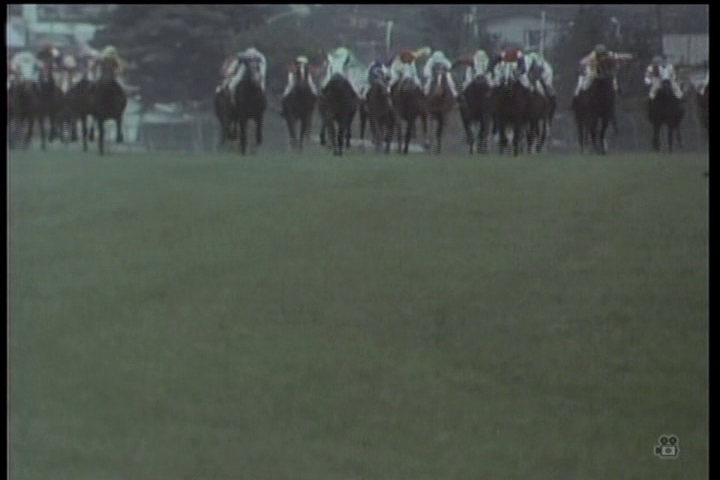 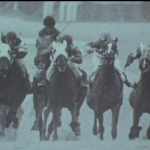 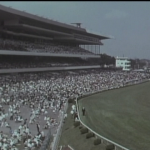 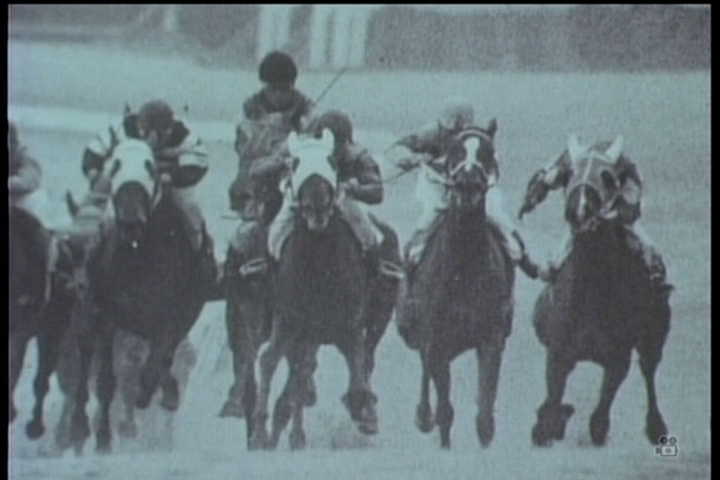 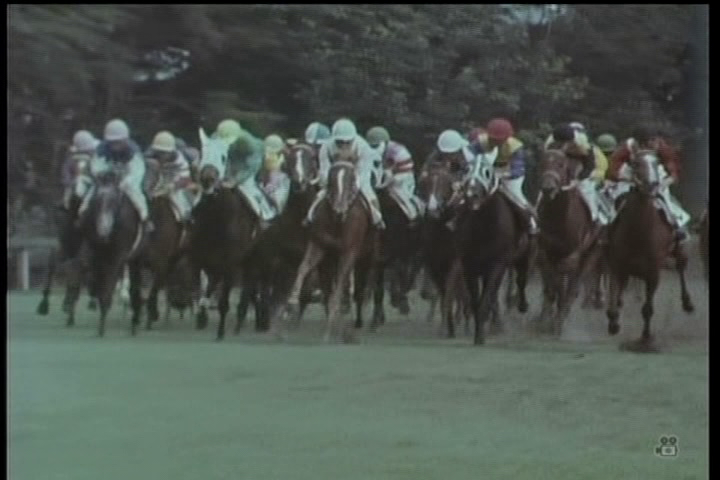 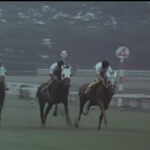 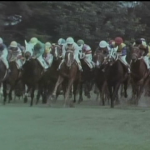 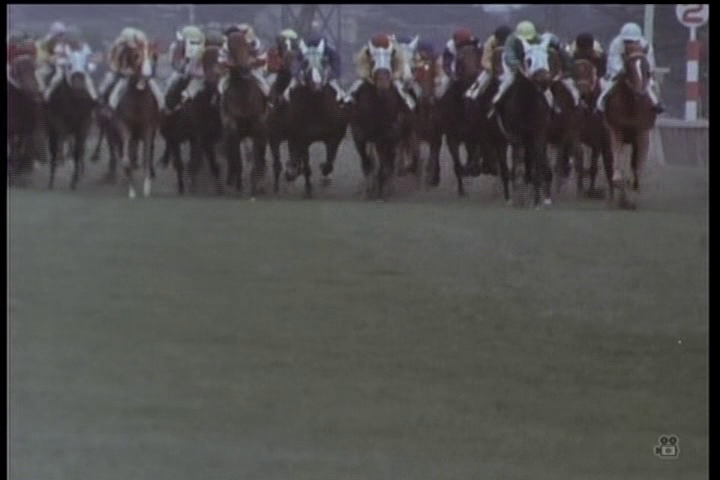 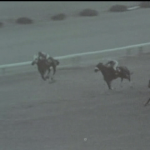 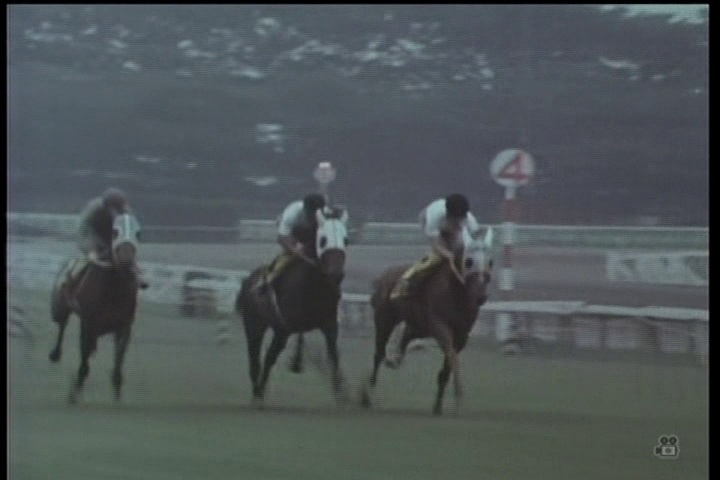 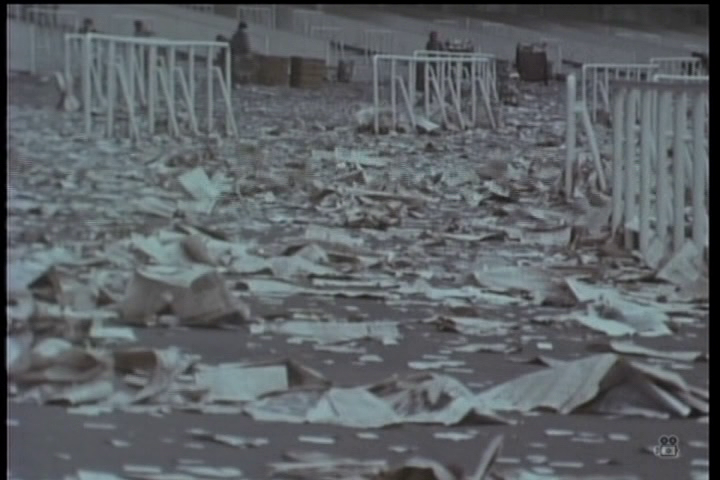 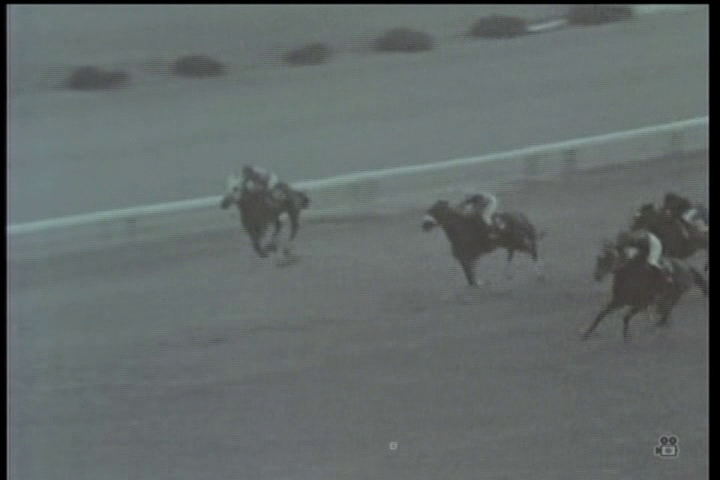 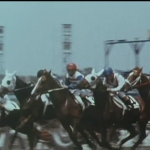 Four-year-old horses take part in the Japan Derby of 1971. 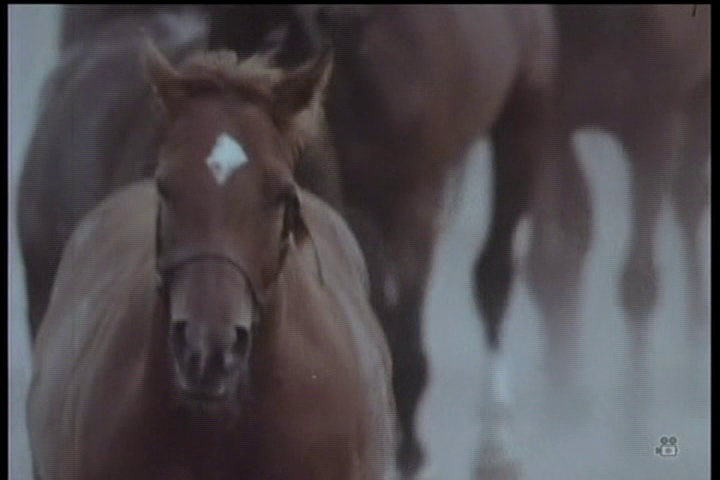 Only the best of the best are allowed to join the race. 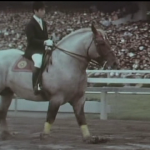 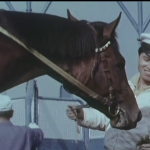 After the race, the film takes us to meet a retired champion, Shinzan. 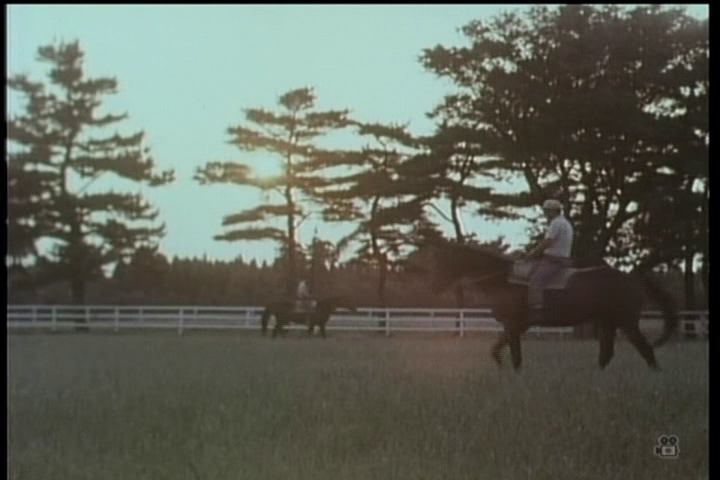 He is enjoying his quiet sunset years at a ranch. 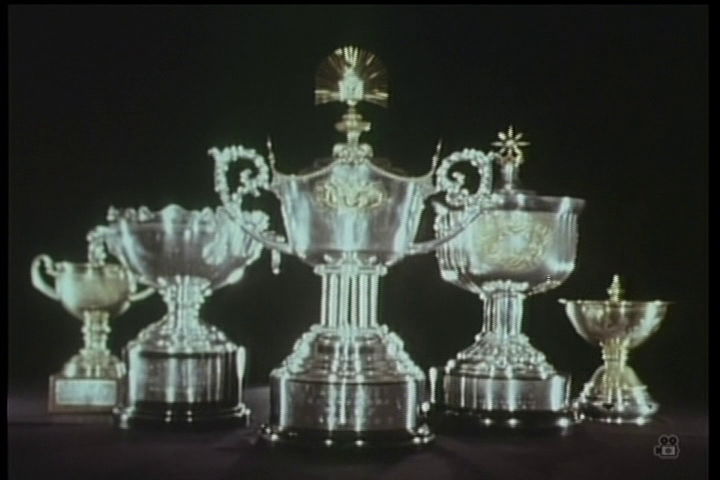 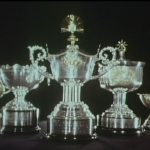 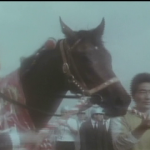 The film cuts between him, shots of race finishes, his five championship trophies, and finally a young colt, “the future Shinzan”, a possible future champion. 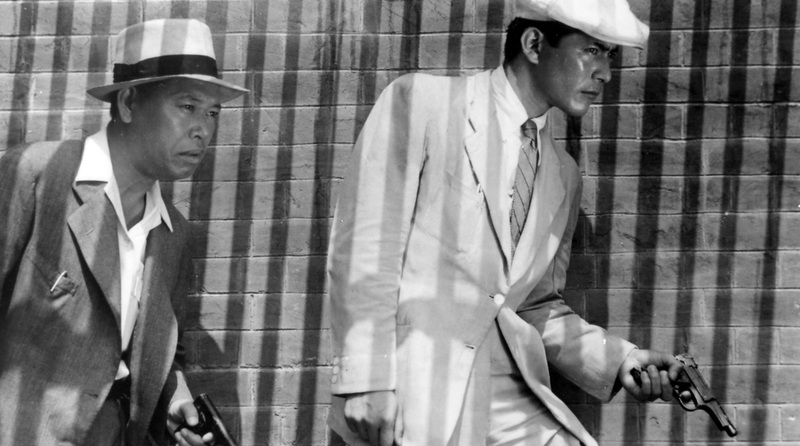 In the early 1970s, Kurosawa found himself in a difficult place. 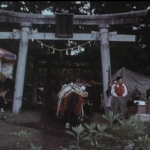 Following the 1965 Red Beard, the director had made two unsuccessful attempts at launching Hollywood funded projects, and his subsequent Japanese comeback film Dodesukaden had been both a critical and box office failure in 1970. 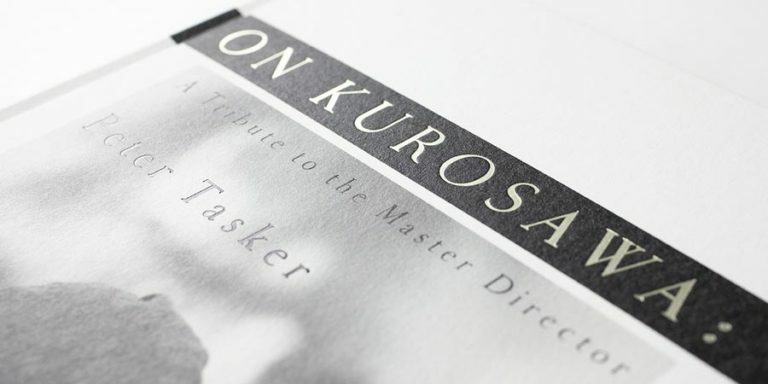 As the Japanese film industry was struggling and funding was difficult to find, Kurosawa decided to follow the example set by other directors such as Shohei Imamura who had found a new home creative working on documentaries for the small screen. 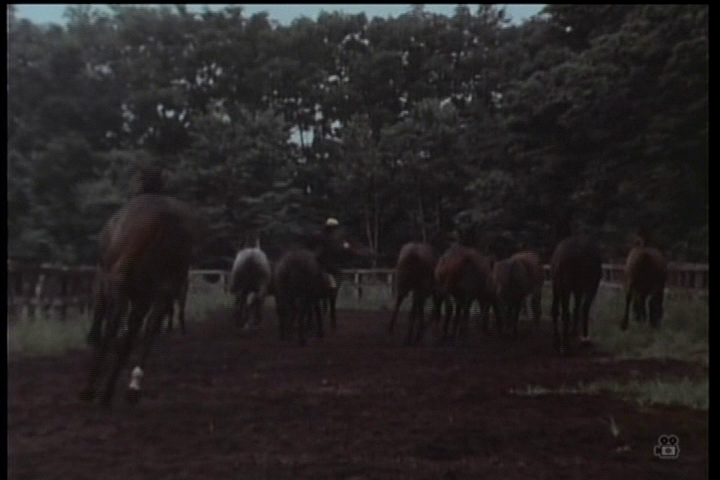 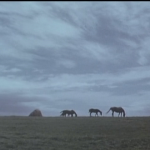 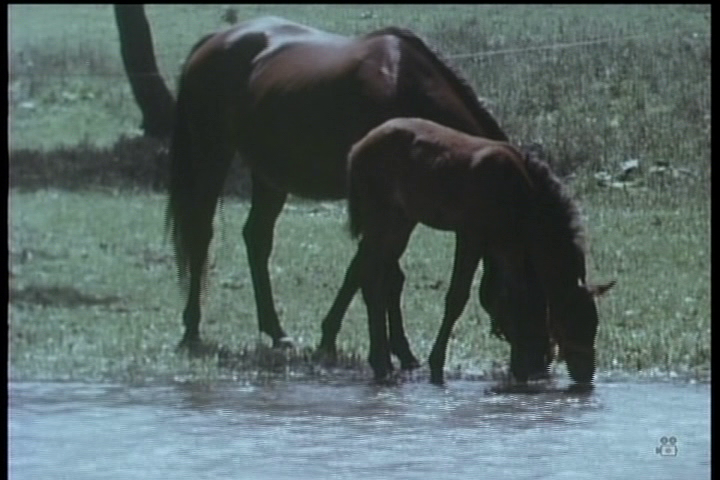 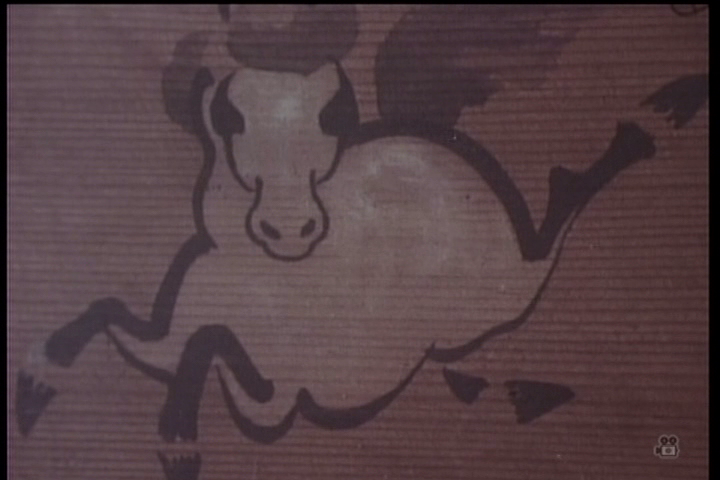 Where the subject of horses came from is uncertain to me, but Kurosawa had certainly always loved the animals. 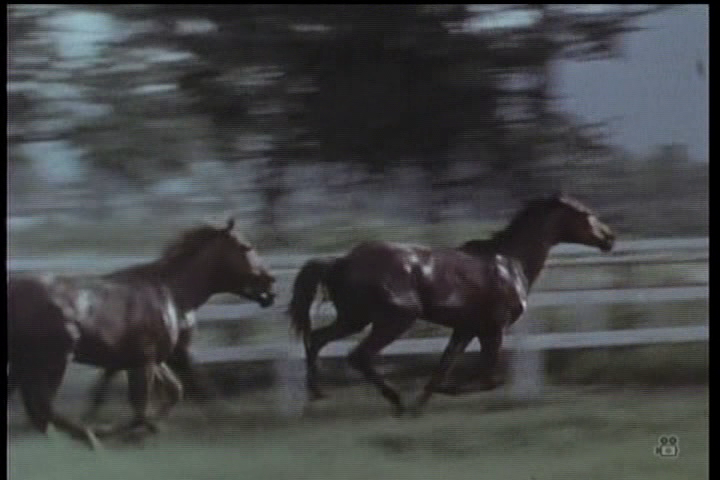 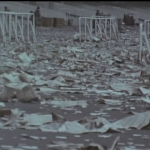 Very little information is available about the production of Song of the Horse but much of the film appears to have been shot in the summer of 1971. 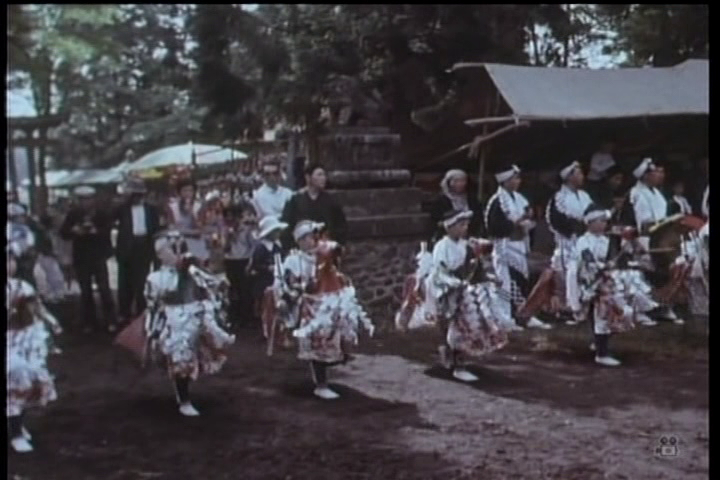 The crew was small and included Kurosawa regular Masaru Sato who composed the music, which together with the images plays a central role in the documentary. 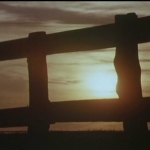 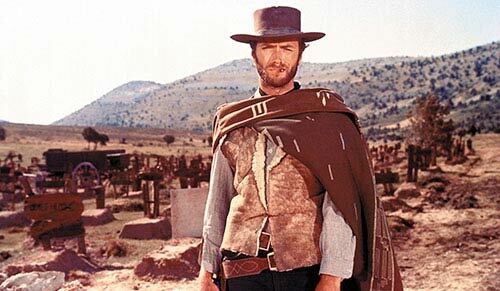 The film has a distinctive theme tune and there are times when the use of music and sound, or the lack of any, is fairly experimental. 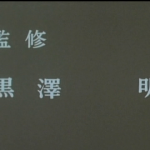 The man and the boy are voiced by Noboru Mitani and Hiroyuki Kawase who had played the beggar and the beggar’s son in Dodesukaden. 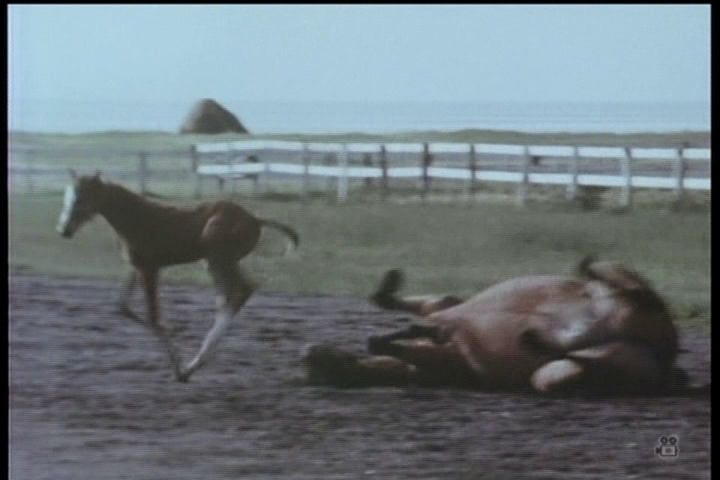 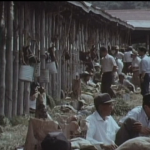 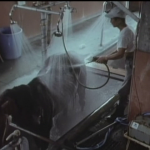 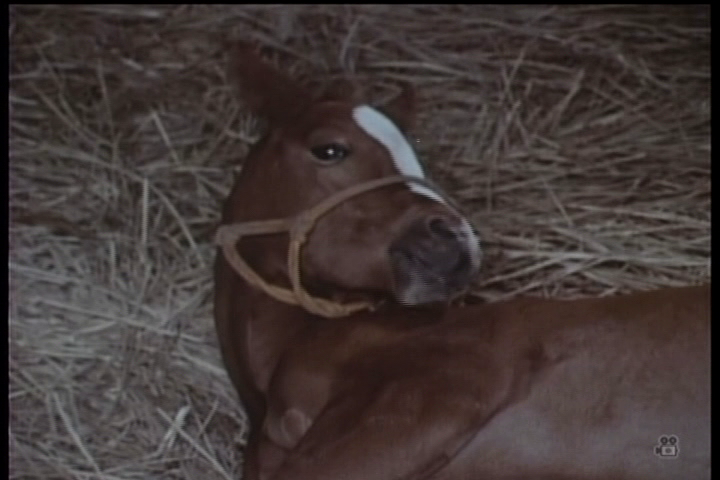 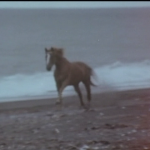 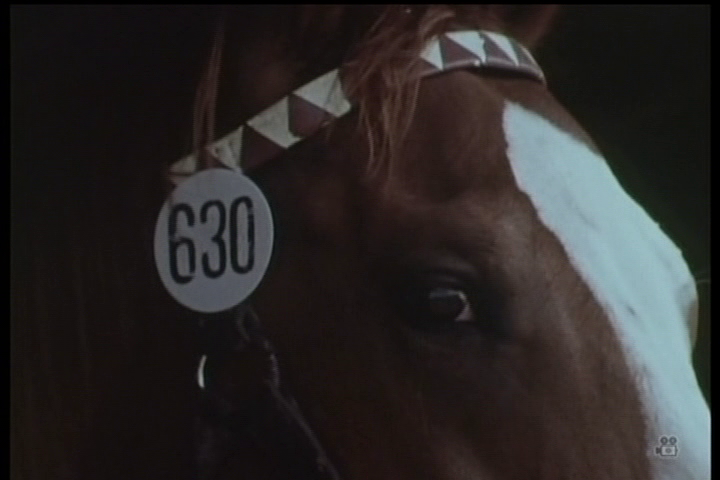 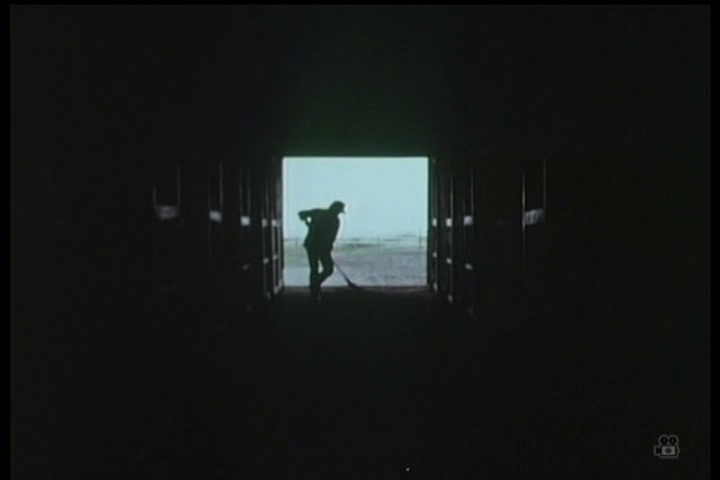 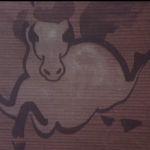 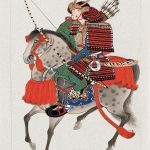 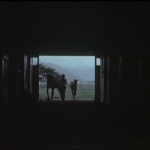 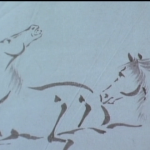 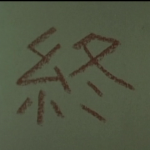 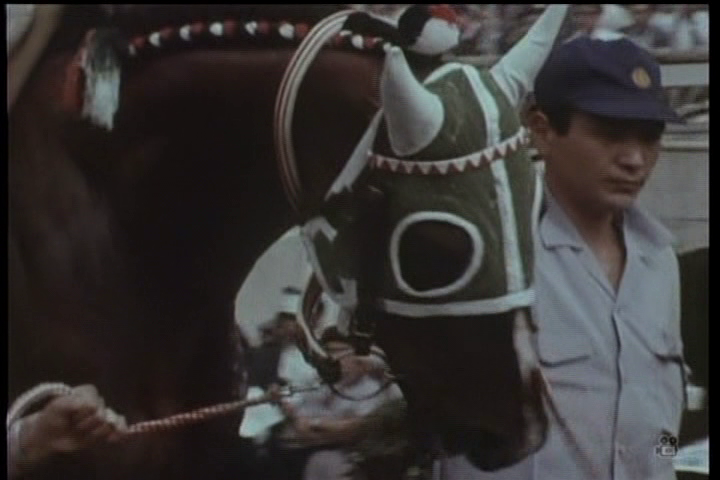 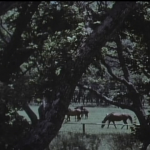 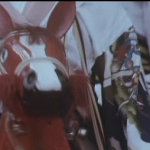 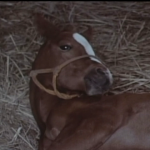 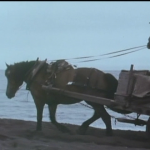 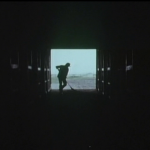 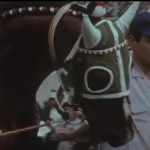 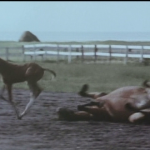 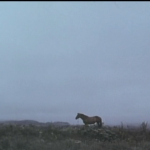 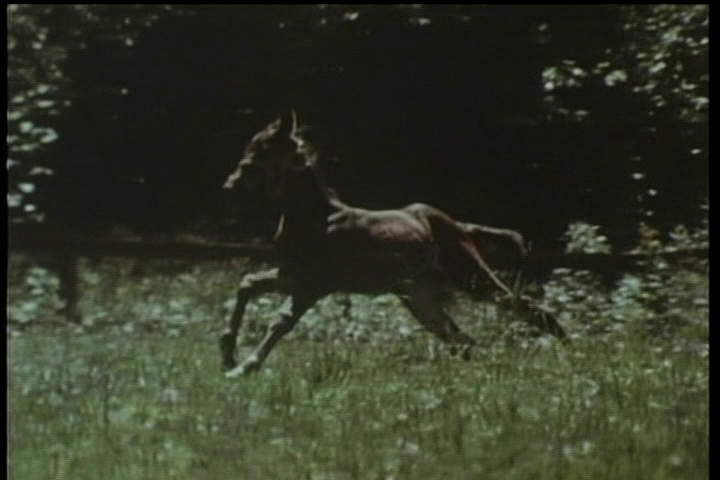 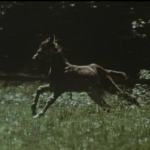 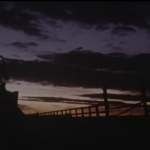 Song of the Horse is also unique in Kurosawa’s oeuvre in that it includes an editor’s credit, suggesting that it is the only Kurosawa film that he did not cut himself. 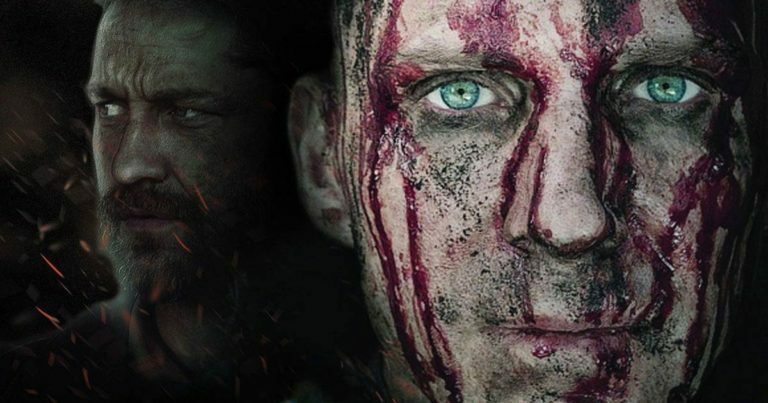 There is uncertainty about the film’s exact release date. 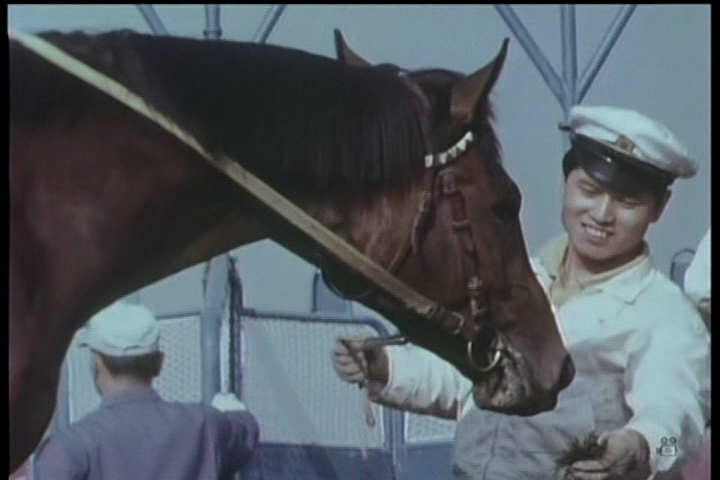 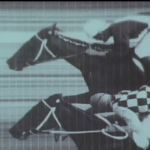 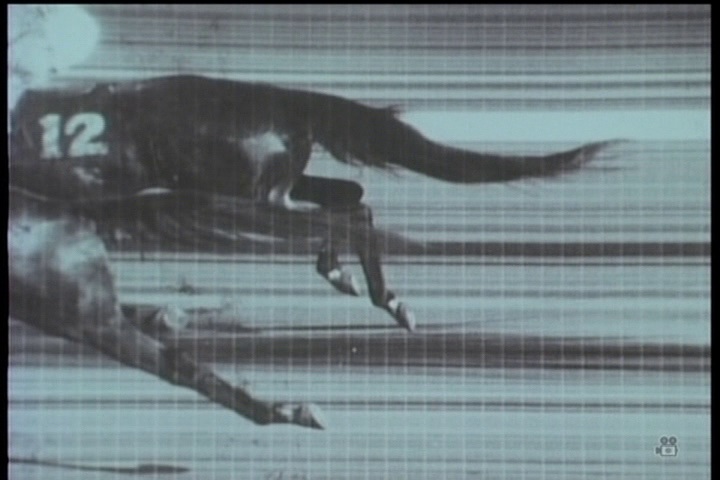 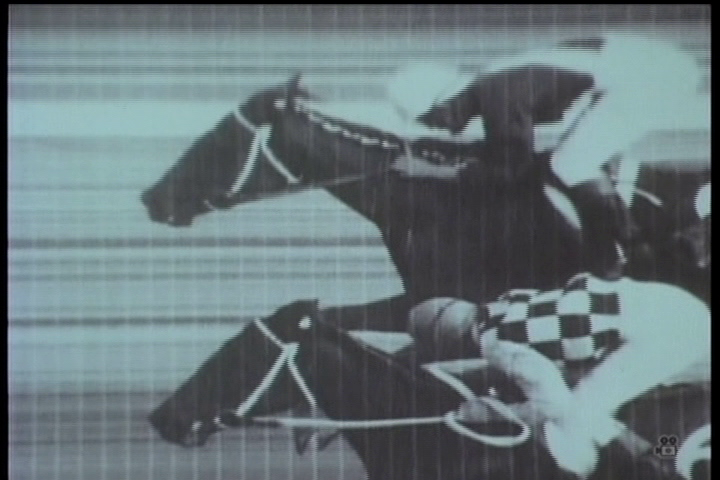 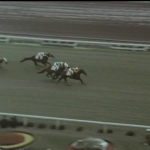 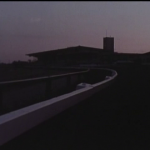 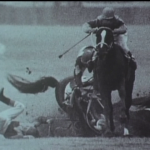 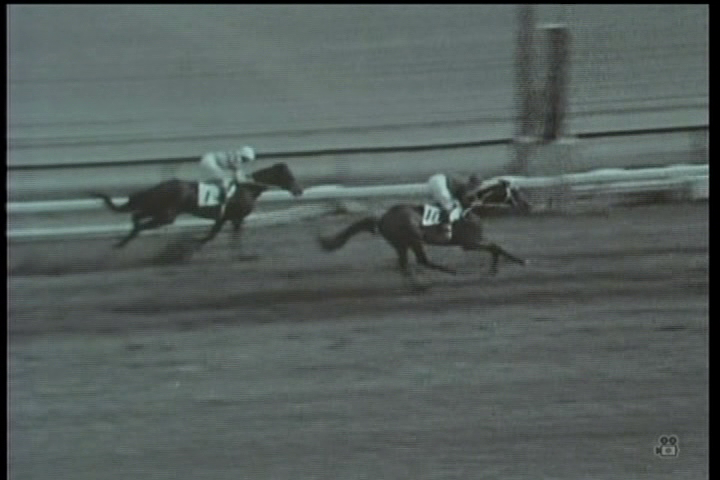 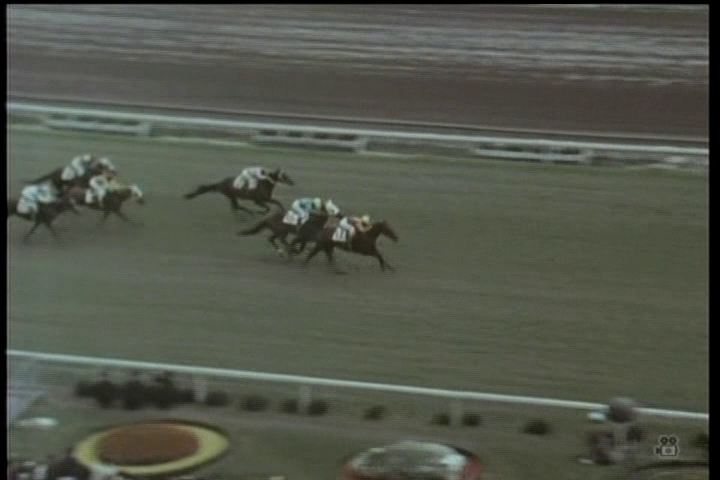 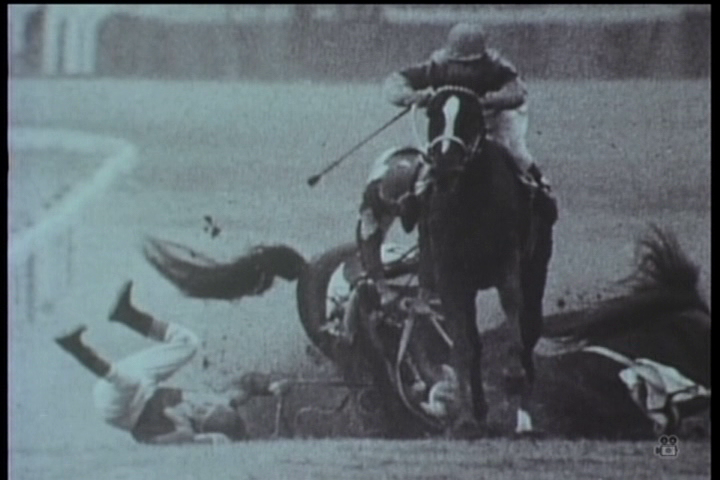 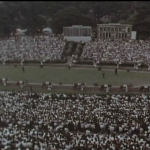 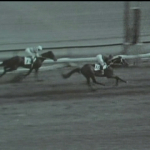 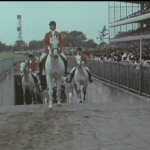 Typically, Song of the Horse‘s original airing date on Nippon TV is given as August 1970, but as the film depicts the June 13, 1971 Japanese Derby race, this cannot be accurate. 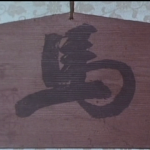 As the film was certainly released before Kurosawa’s attempted suicide in December 1971, an August 1971 release is more probable. 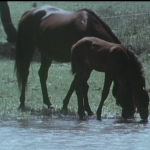 Due to the film’s near complete lack of availability over the years, no critical approach to Song of the Horse has come to my attention. 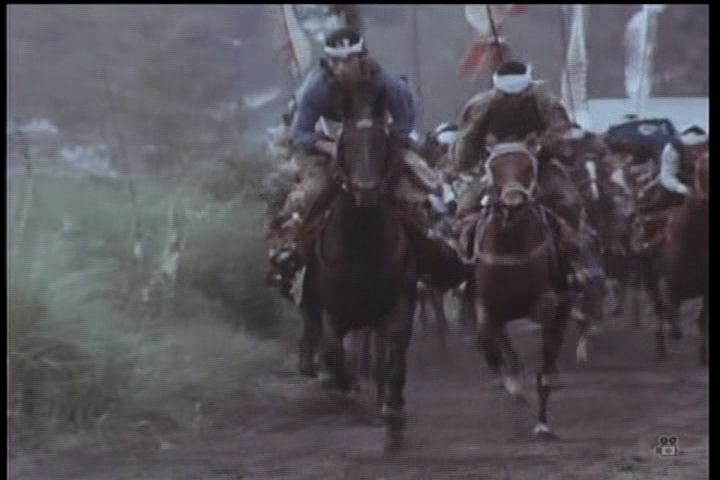 Song of the Horse was generally unavailable until the US based Samurai DVD released a version with English subtitles. 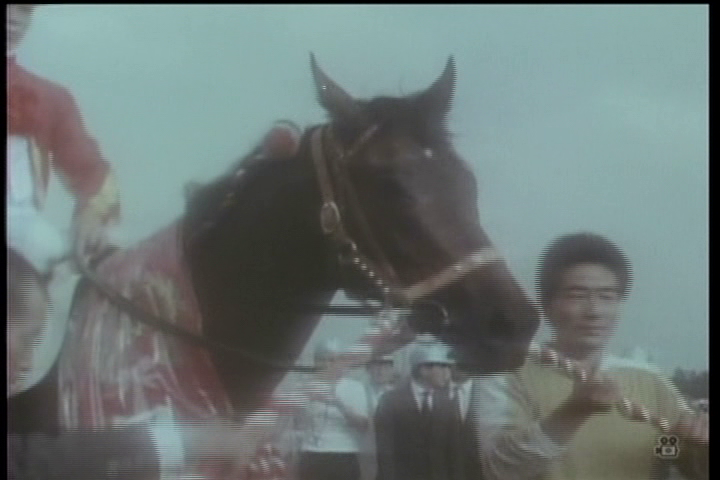 The region-free DVD is of fairly good quality, as long as you recognise that this is a Japanese TV film from 1971. 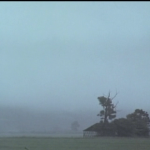 The resolution is 720×480 and the image is at times blurry with relatively washed out colours. 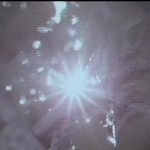 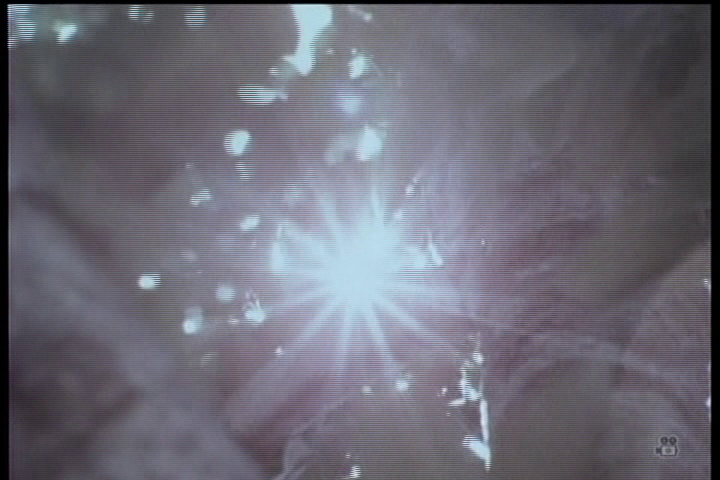 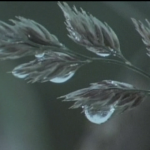 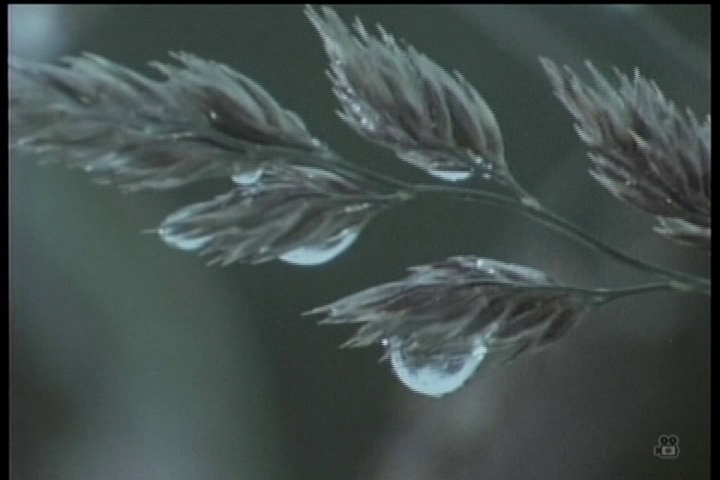 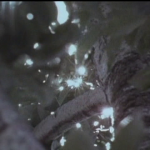 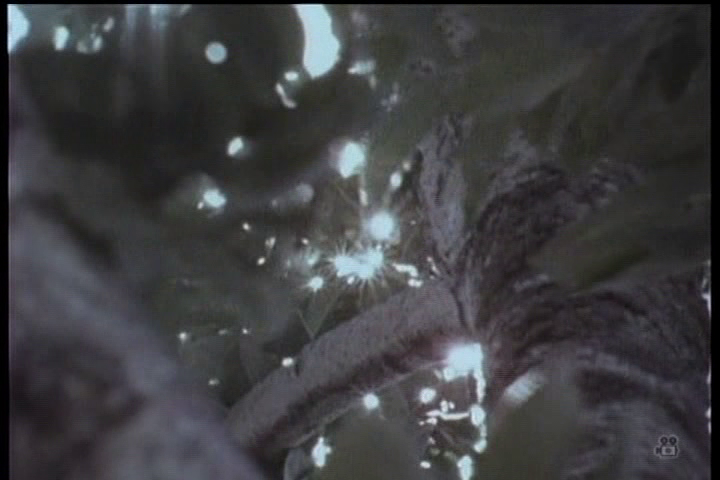 All images in the screenshots section of this page are taken from the DVD. 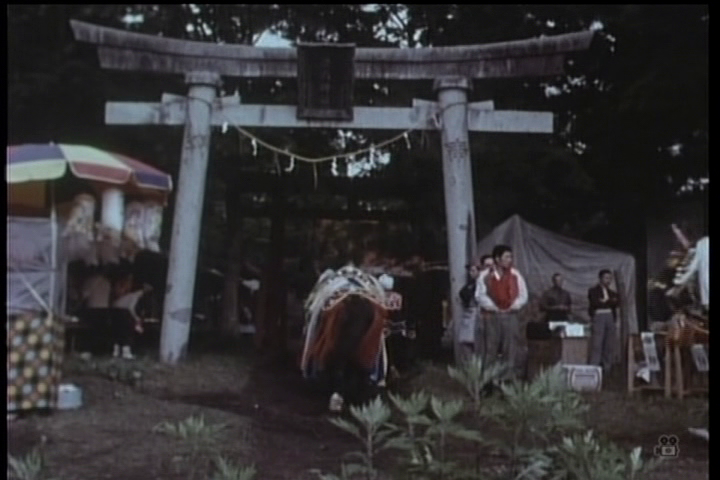 There are no extras or even a menu, as all you get is the film. 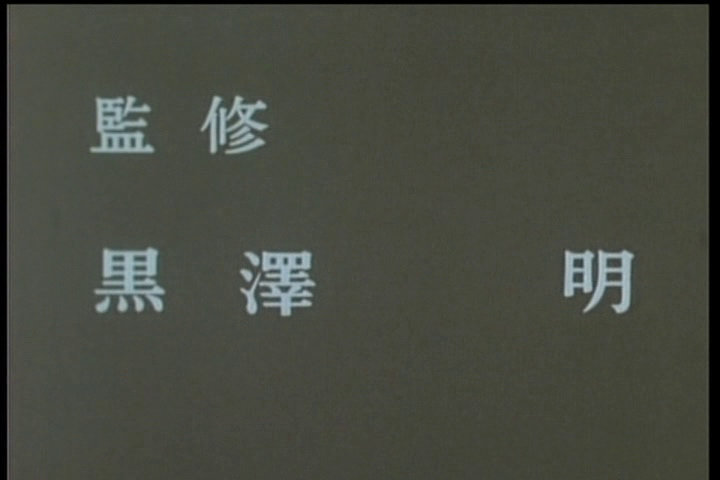 The subtitles are very good. 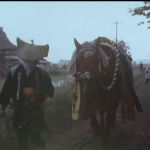 The film is available from the Samurai DVD website. 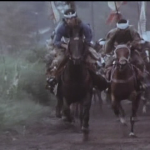 This Akira Kurosawa filmography page was last updated on March 3rd, 2017. 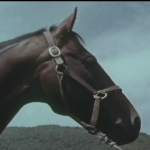 Click a thumbnail to enlarge and browse Song of the Horse posters and covers. 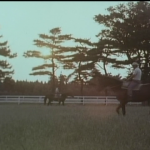 Click a thumbnail to enlarge and browse Song of the Horse screenshots.